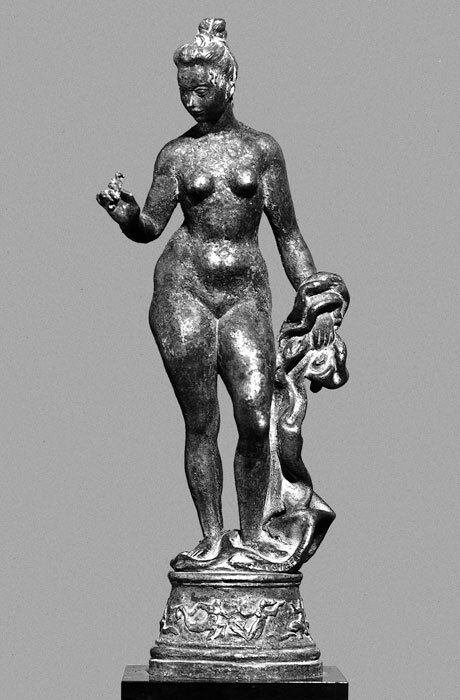 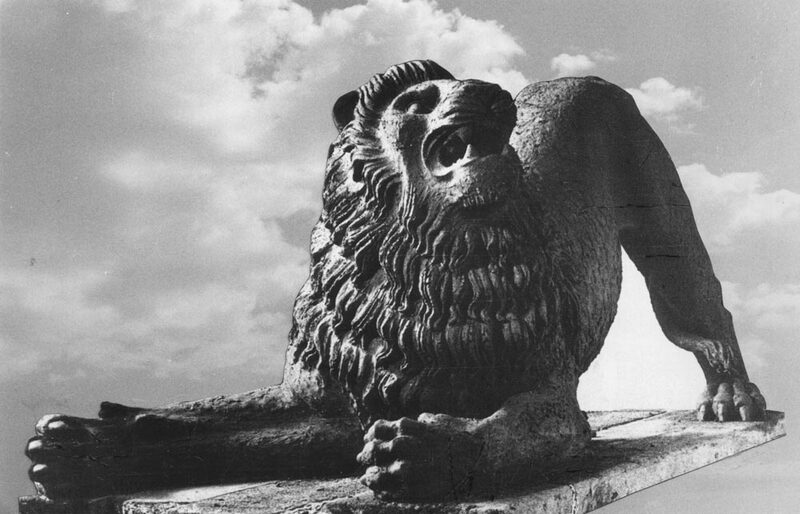 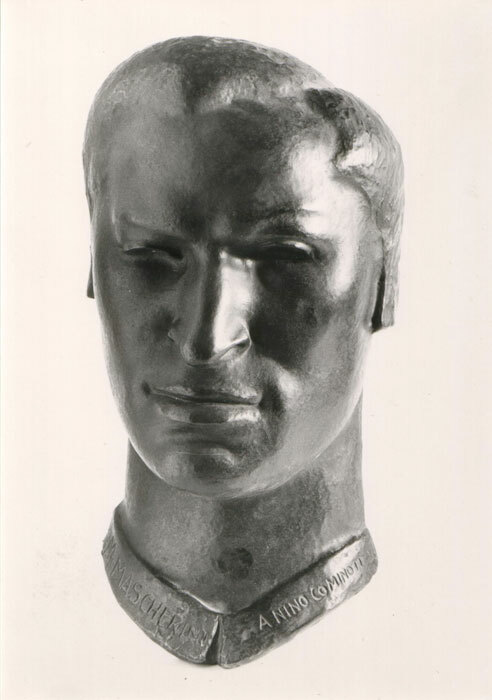 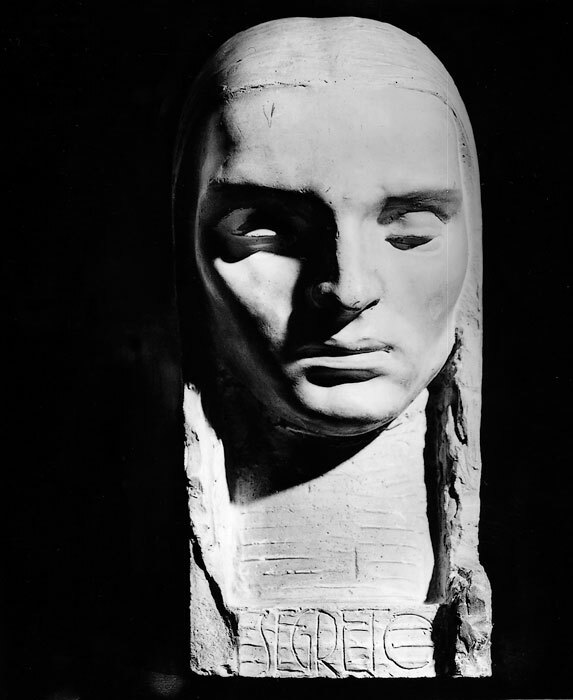 Born in Udine, in the Kingdom of Italy, 14 September 1906, his mother’s name Maria Luigia Mascarin, being not recognized by his father, member of a well-off family of goldsmiths and artists in Pordenone, among them the sculptor Antonio Marsure (Pordenone, 1807 – 1855). 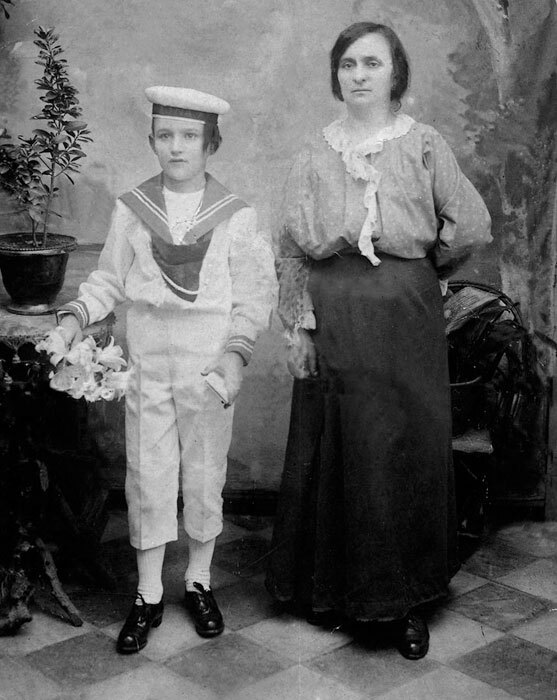 Spends his childhood with the grandmother in his mother’s native village, Fagnigola at Azzano Decimo, today in the province of Pordenone. 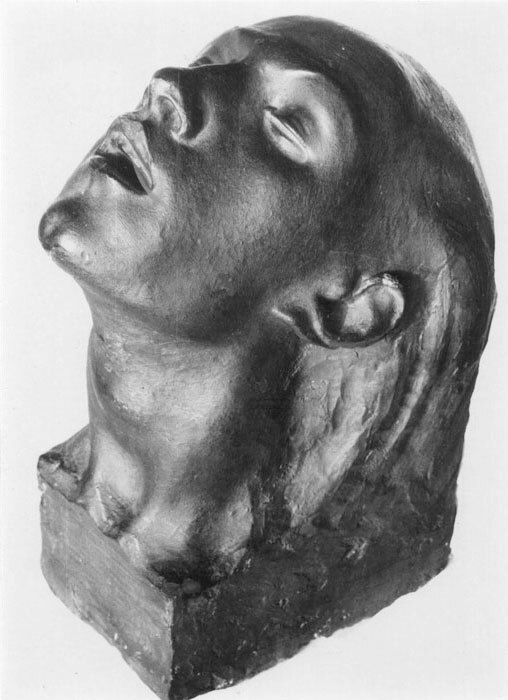 The death of his grandmother, for the next three years he is given to his mother’ sister. 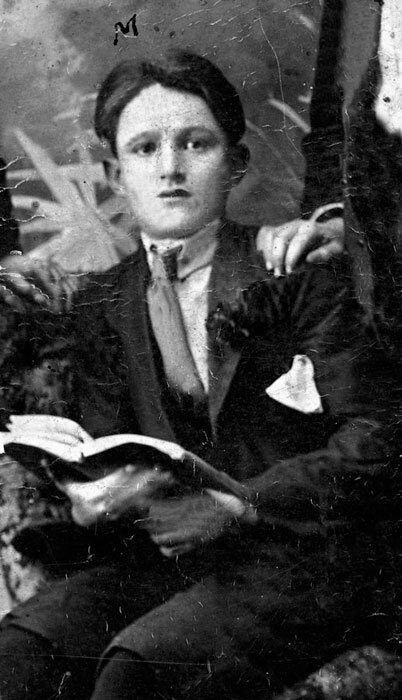 In 1912 he moves with his mother to Trieste, important city in the Austro-Hungarian Empire, being then refugees from the spring of 1915 as Italian Kingdom subjects. 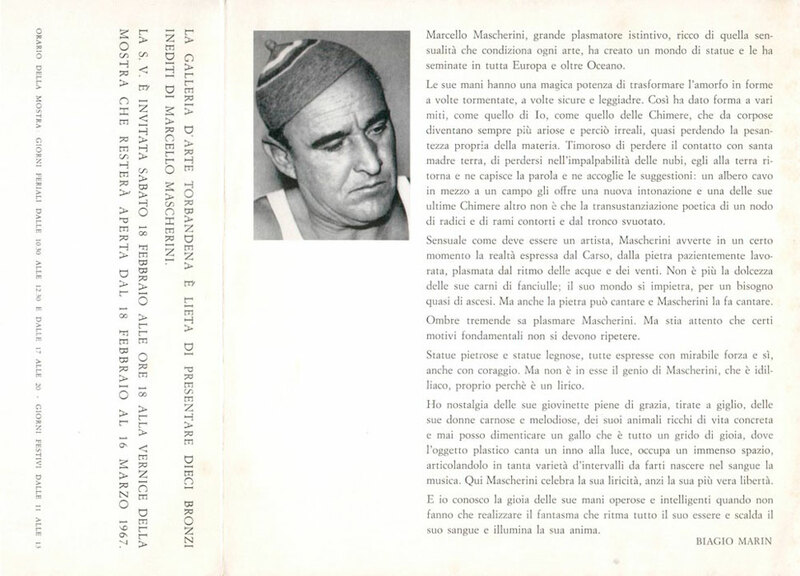 Thus, he lives in Isernia, in the central-southern region of Molise, learning the first rudiments of sculpture in the workshops of local able craftsmen and taking the diploma at the local Regia Scuola d’arte applied to industry. 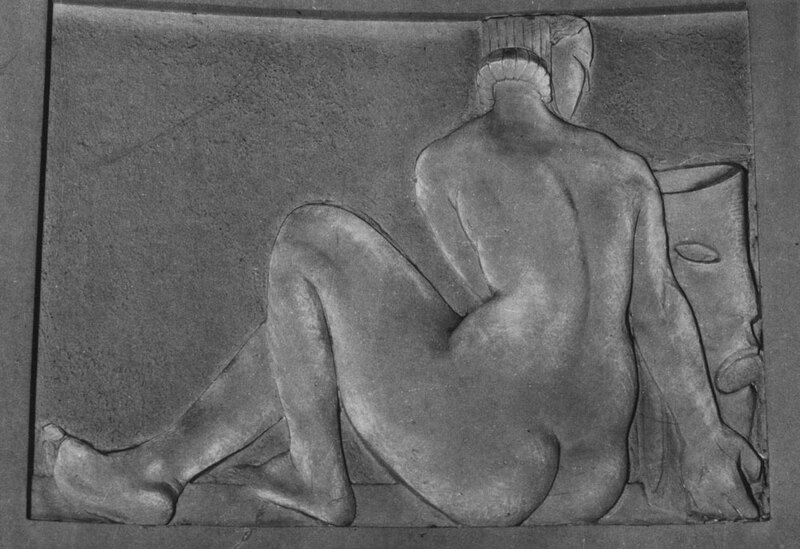 Having returned to Trieste in the end of 1920, he enrols at the Istituto Industriale “Alessandro Volta” in the spring of 1921 by attending courses in ornamental sculpture (several capable craftsmen and fame artists are graduated from this school of applied arts) under the guidance of sculpture Professor Alfonso Canciani (Brazzano, 1863 – Trieste, 1955) and taking diploma in 1924. 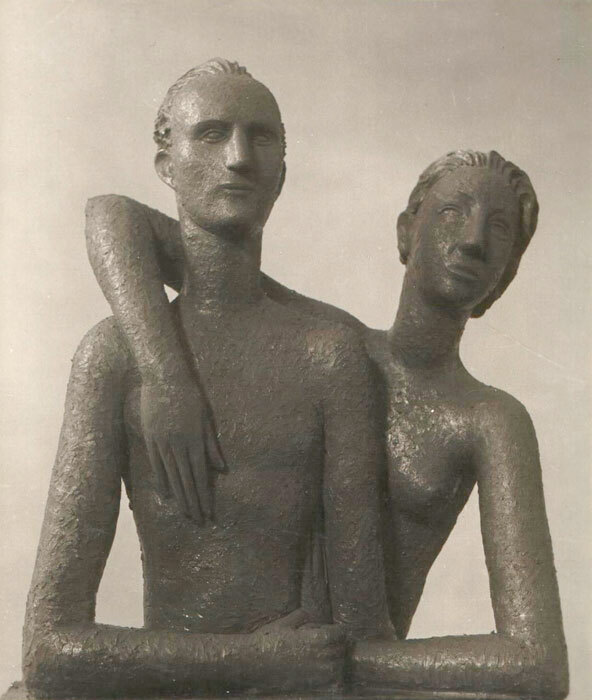 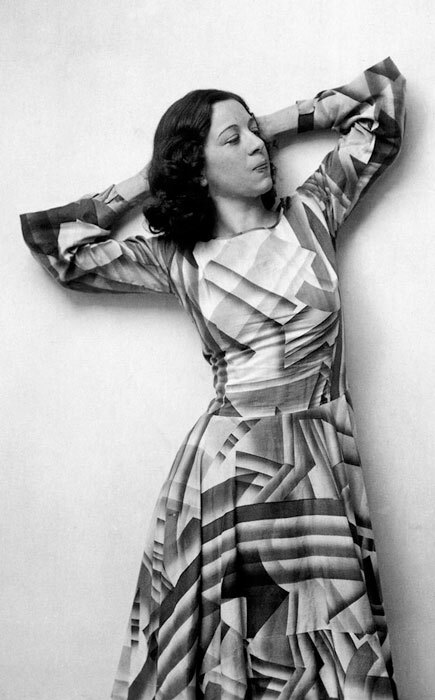 In the same year he meets Nera Micheli, getting married with her on 31 December 1933. 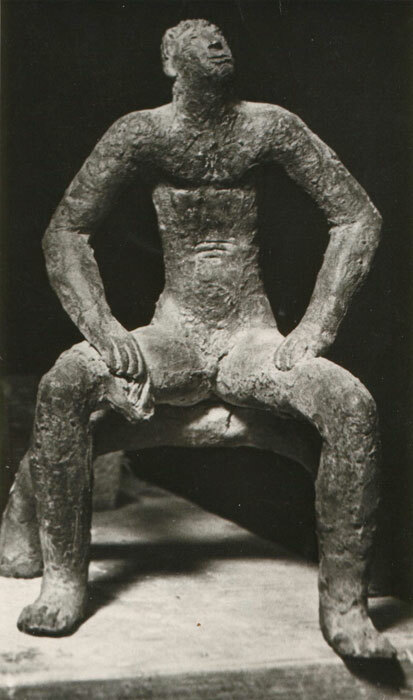 He deepens his technique by shortly working at the atelier of sculptor Franco Atschko (Asco, Trieste, 1903 – Milano, 1970). 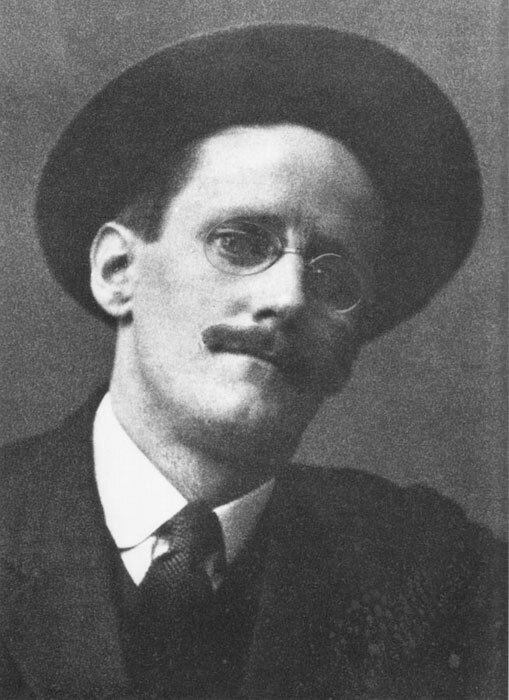 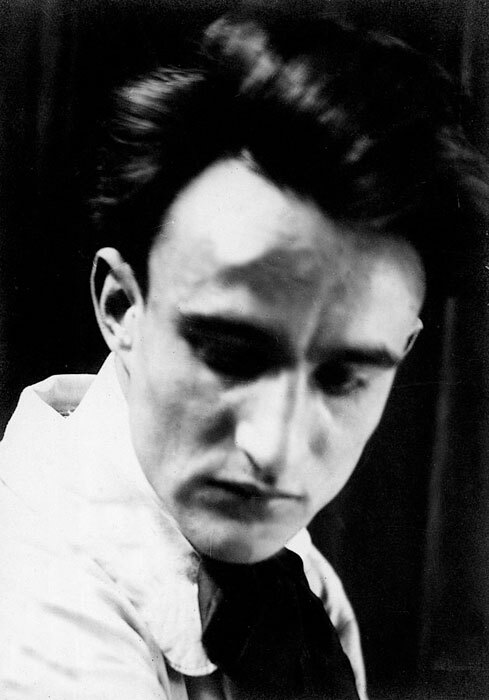 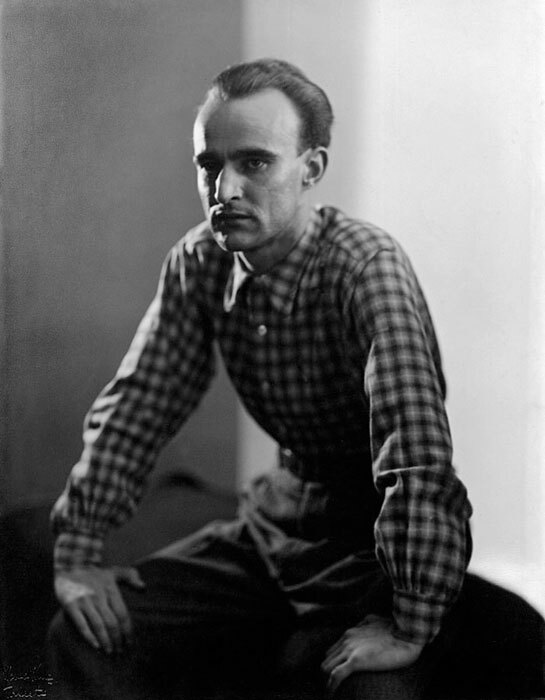 His first showing occurs in Trieste in December 1924 on recommendation of Silvio Benco, renowned intellectual and art critic in Trieste, while his first one-man show takes place at Circolo Alessandro Manzoni in Trieste, November 1925. 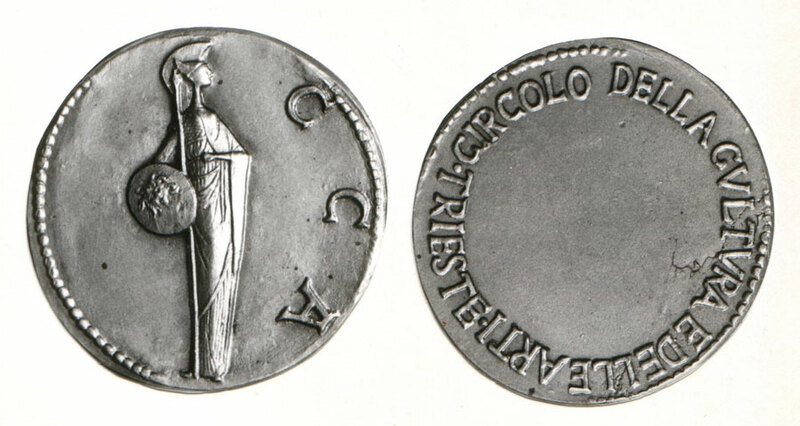 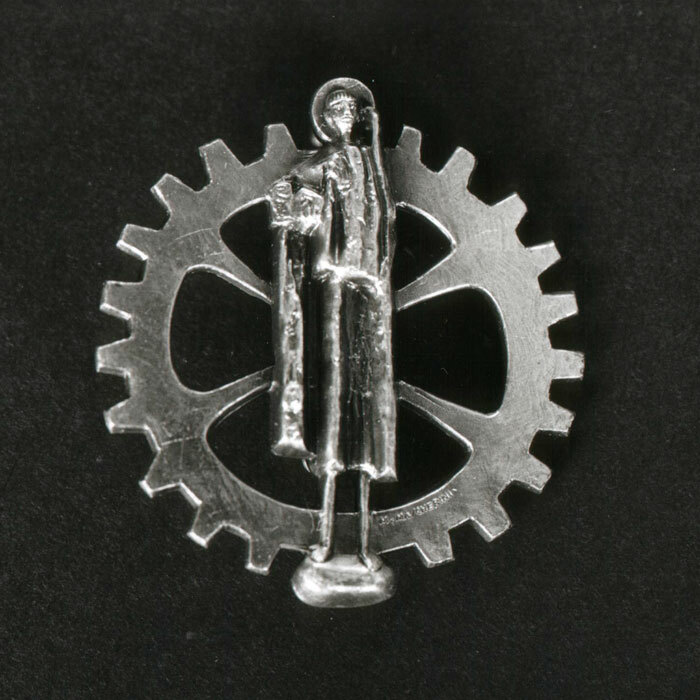 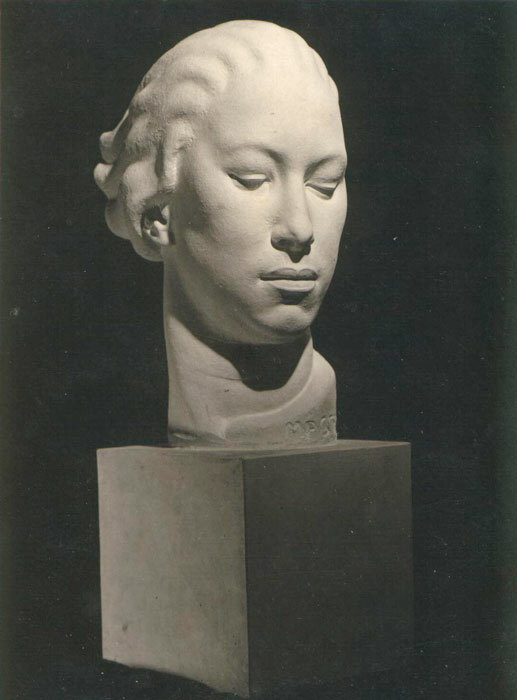 This would mark the beginning of his intensive exhibition activity, awarding him in 1929 the silver medal by the Ministry of Education at the III Esposizione del Sindacato Regionale Fascista degli Artisti in Trieste. 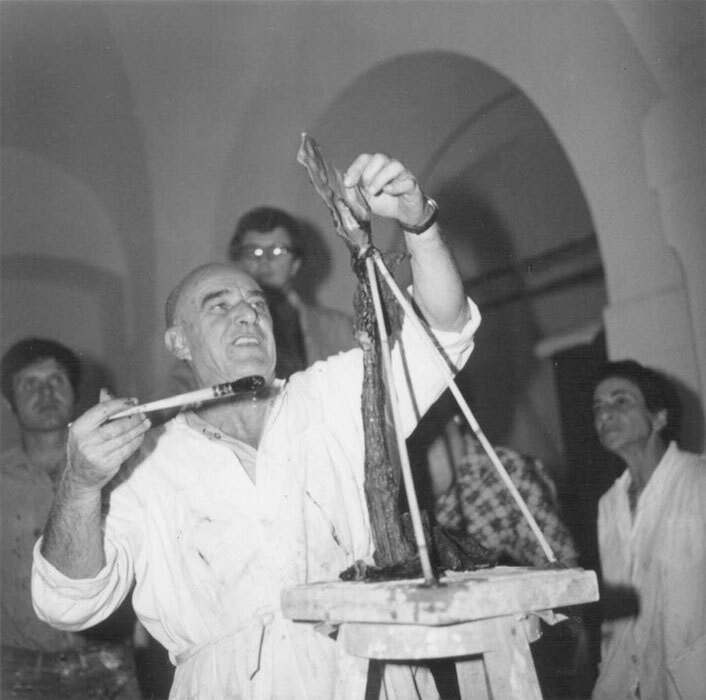 Since 1927 he would go on to be regularly present at the exhibitions organized by the Triestine, Regional and National Sindacato delle Belle Arti; at all first exhibitions of Roman Quadriennale since 1931, having personal rooms in 1948 and 1959-1960; at the Triennale in Milan in 1933, 1936, 1951, 1960; at eleven shows of Venice International Biennale since 1934, having personal rooms in 1938, 1942, 1954, 1962; at Biennale d’Arte Triveneta and continuously from 1951 till 1973 at the International Competition of small bronze in Padova, as well as innumerable one-man and group exhibitions in Italy and abroad. 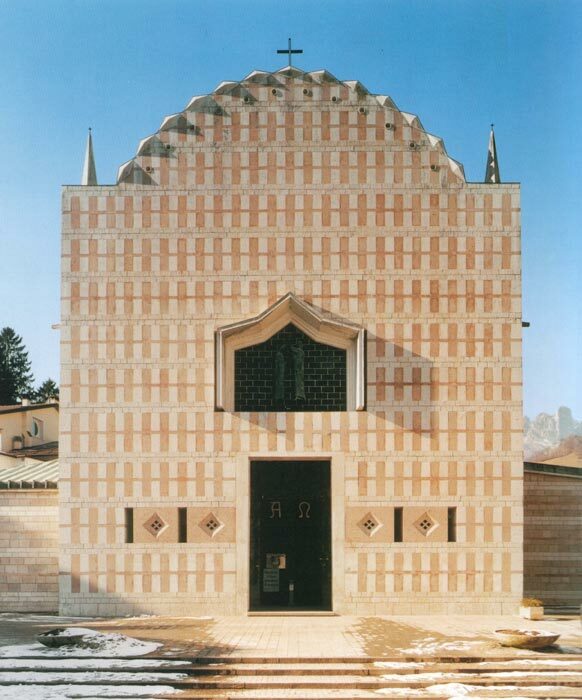 Participates in the national competition for the Monumento ai Caduti di Como in collaboration with Triestine architect Aldo Cervi in 1926. 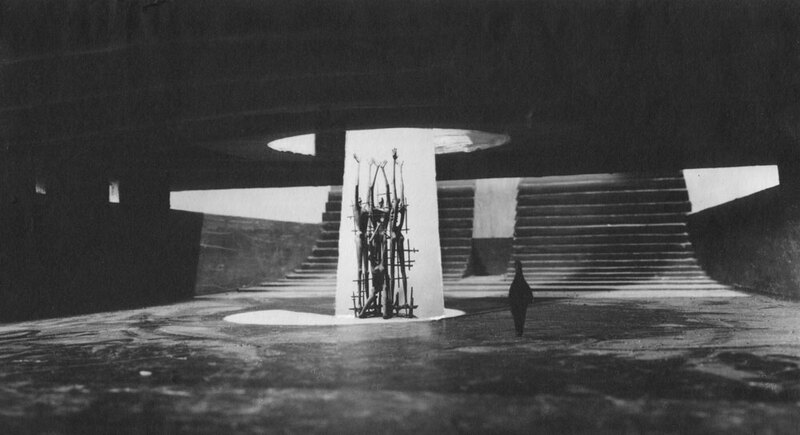 Starts obtaining tasks for public and funeral monuments. 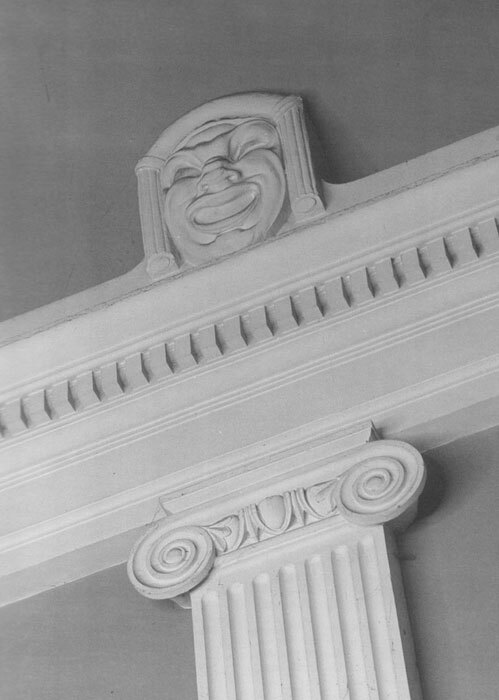 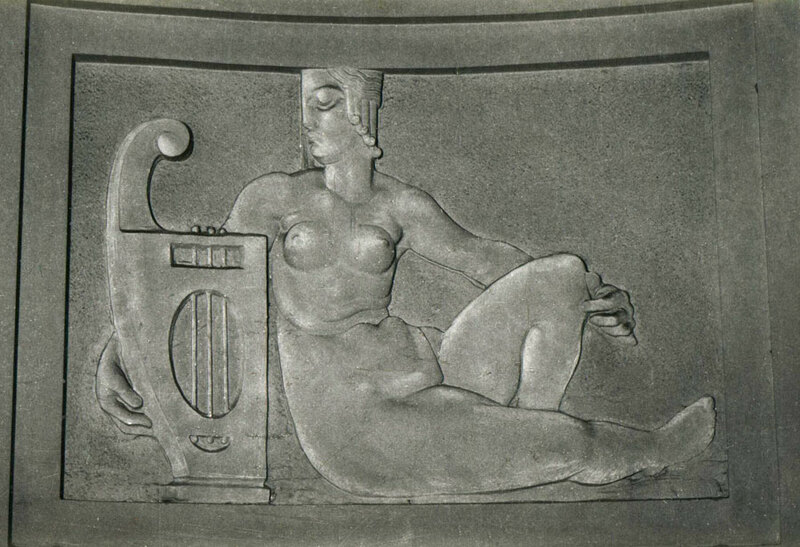 Creates, on invitation of the architect Umberto Nordio, the decorative stucco works La Tragedia, La Commedia, La Musica, Il Teatro, Il Canto, La Danza for the foyer of new Teatro Politeama Rossetti in Trieste in 1928. 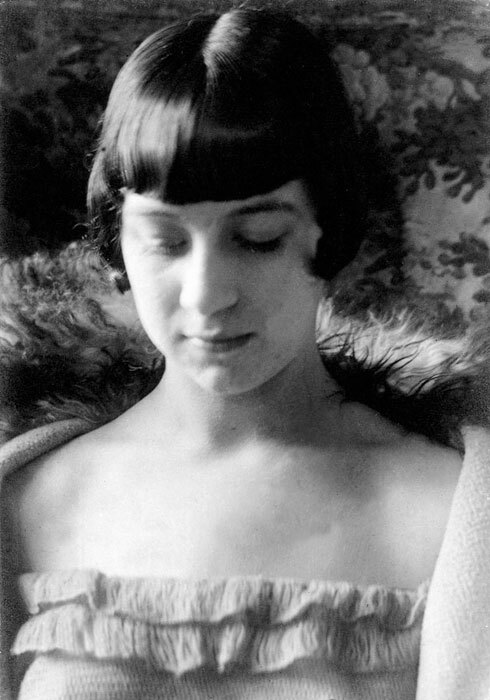 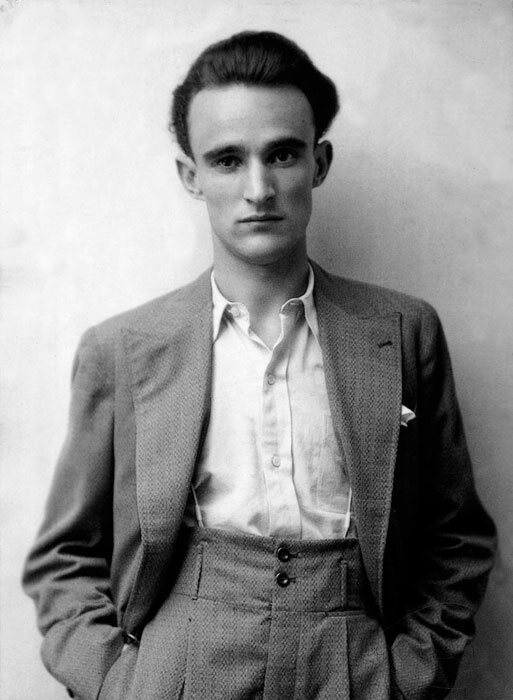 Takes part in the competition for the Ponte dell’Accademia in Venice in 1933, in Rome for the Palazzo Littorio in 1934 and for the Palazzo della Civiltà Italiana (E.U.R.) 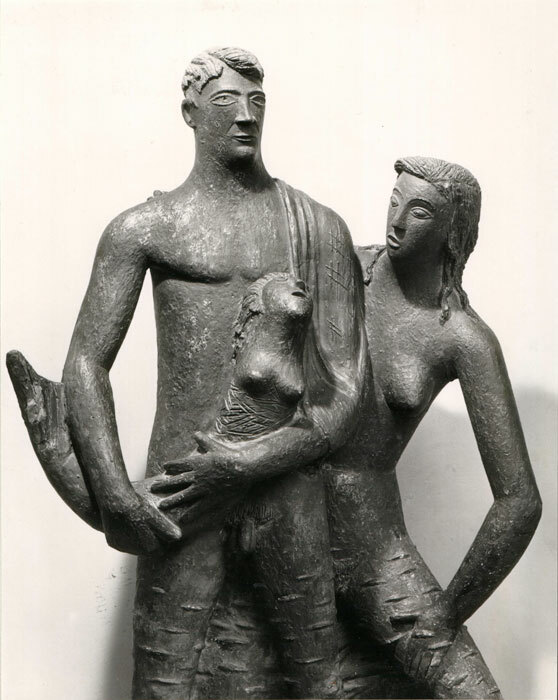 in 1937, by creating for the latter two stone statues, L’Archeologia and Il Genio del Teatro, among the ordered twenty-eight ones placed at the ground floor. 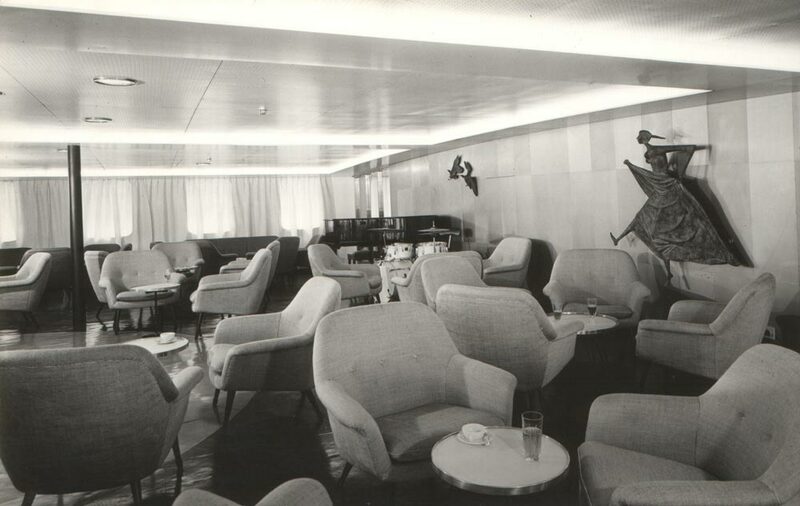 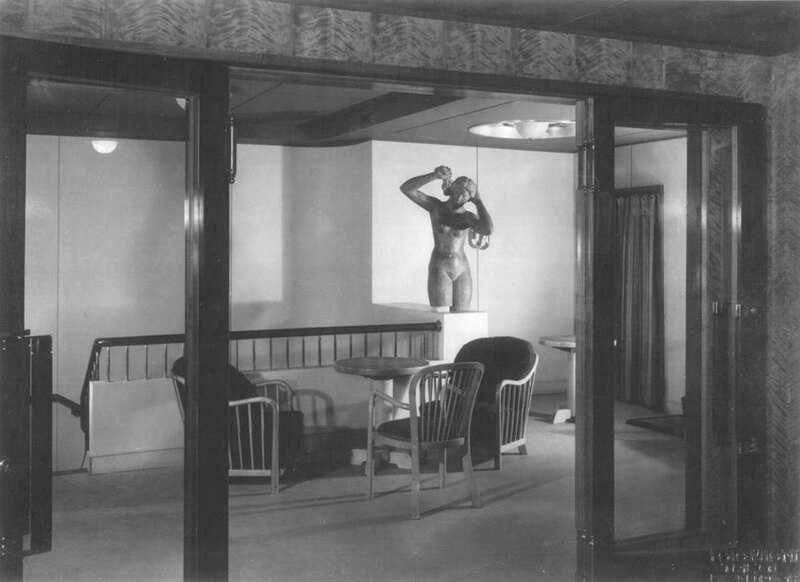 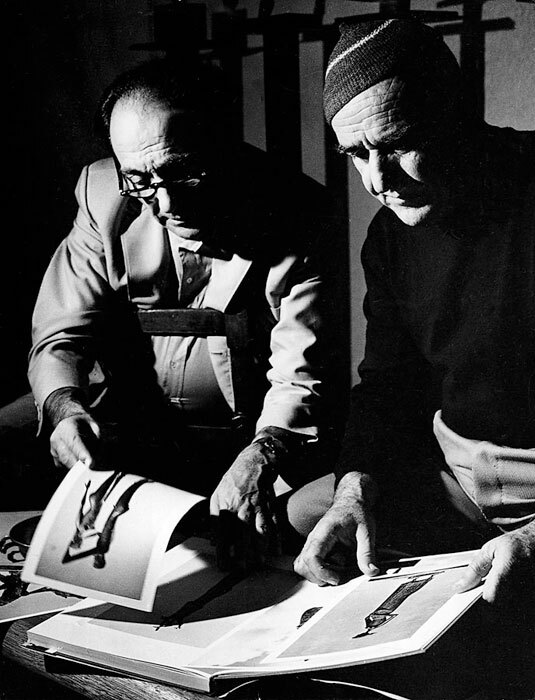 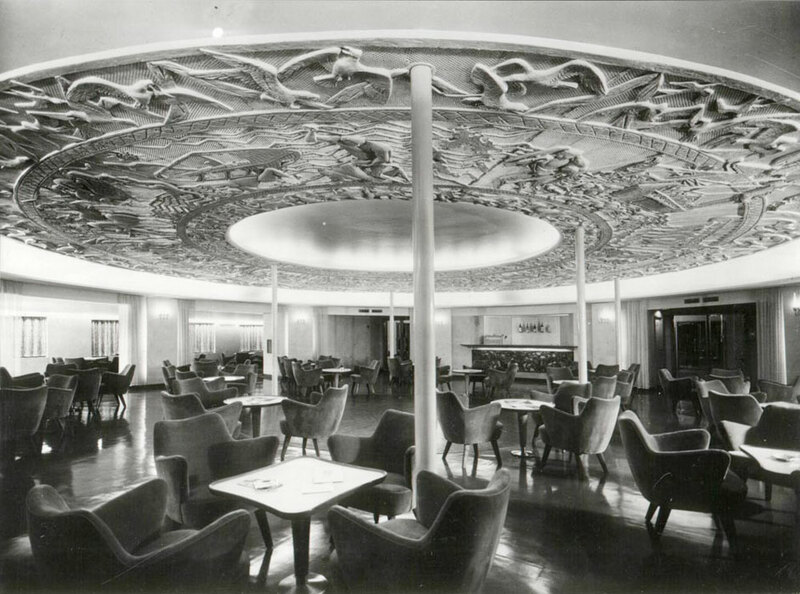 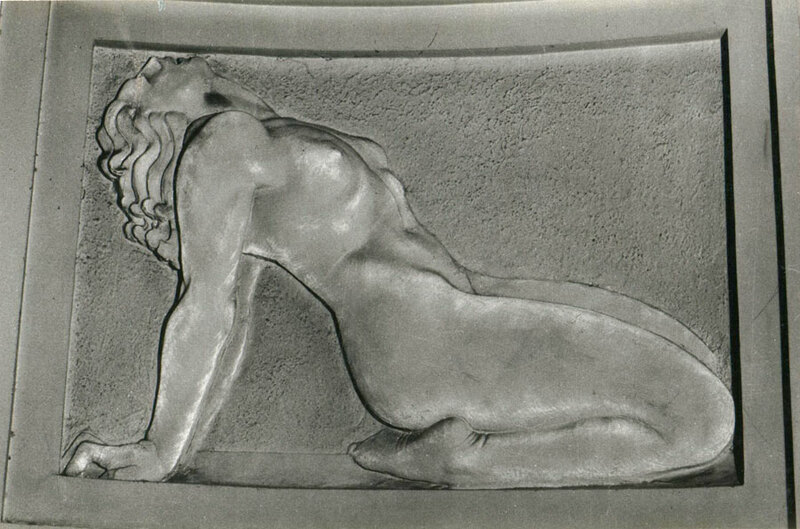 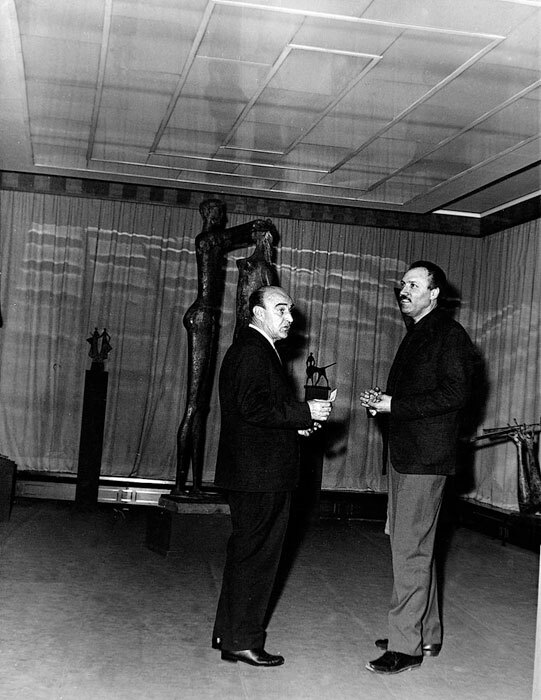 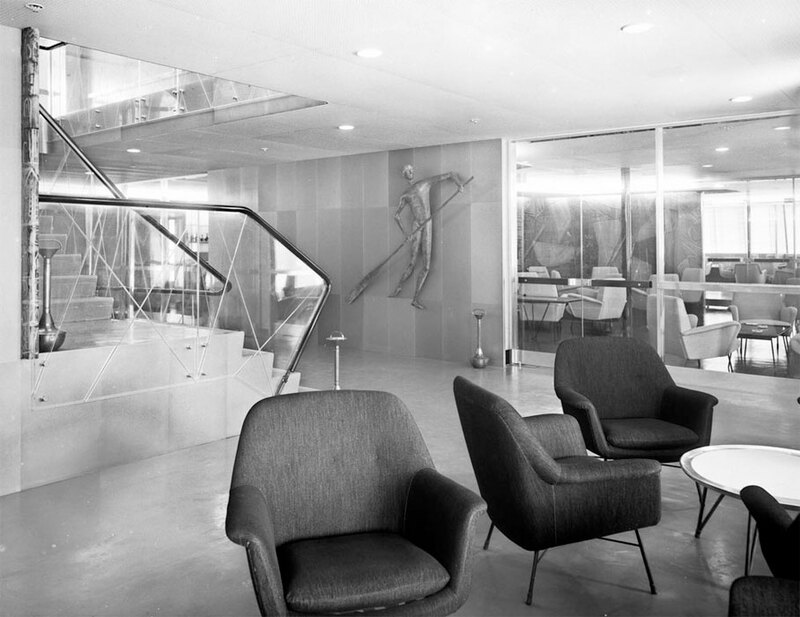 On invitation of the architects Giò Ponti and Gustavo Pulitzer Finali, he starts his activity on liners by creating two bronze profiles of Il Duce and Il Re for the first class ballroom of the ship Victoria in 1931, being also in contact with the sculptor Libero Andreotti, the painter Augusto Cernigoj and marking the beginning of his thirty-years collaboration with fame architects and artists in designing works of art for furnishings in passenger ships: Calitea (1933), Vulcania (1934), Saturnia (1936), Roma (turbine ship, 1938), Roma (battleship, 1940), Italia (1948), Esperia (1949), Conte Biancamano (1949), Australia (1950-51), Augustus (1951), Homeric (1954), San Giorgio (1956), Ausonia (1957), Federico C. (1958), Franca C. (1959), Leonardo da Vinci (1960), Guglielmo Marconi (1962), Oceanic (1964), Italia (1965), Raffaello (1965), Angelina Lauro (1966), Achille Lauro (1966). 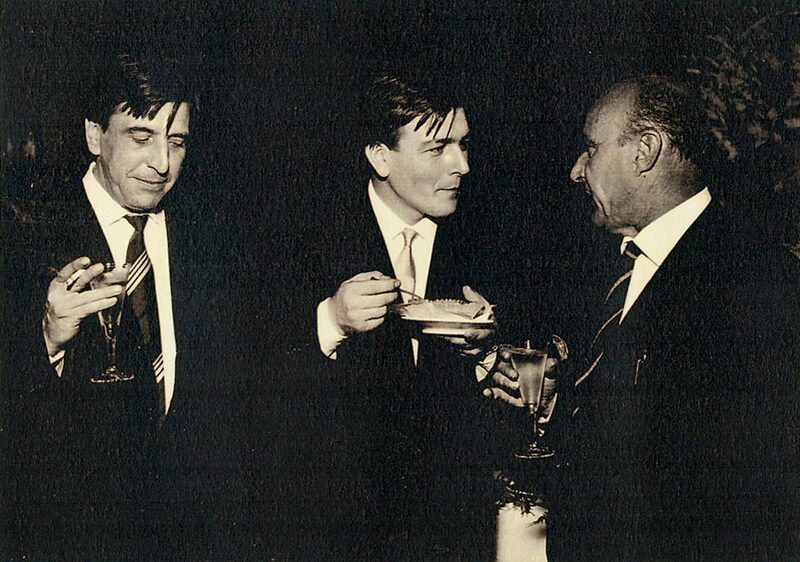 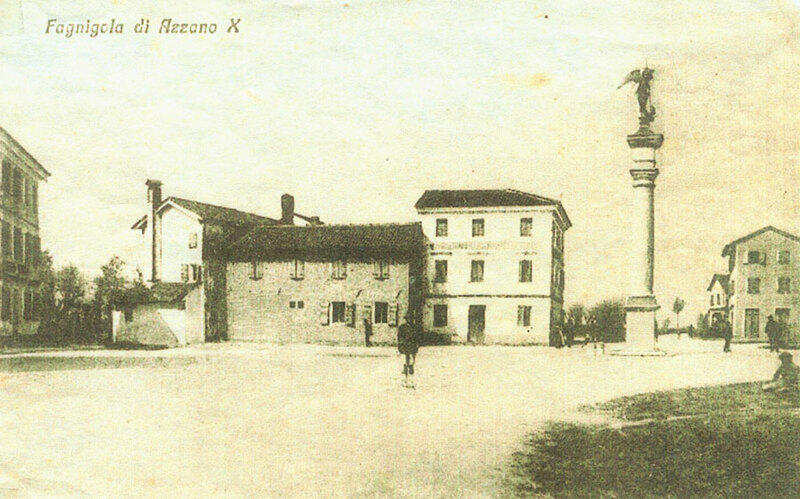 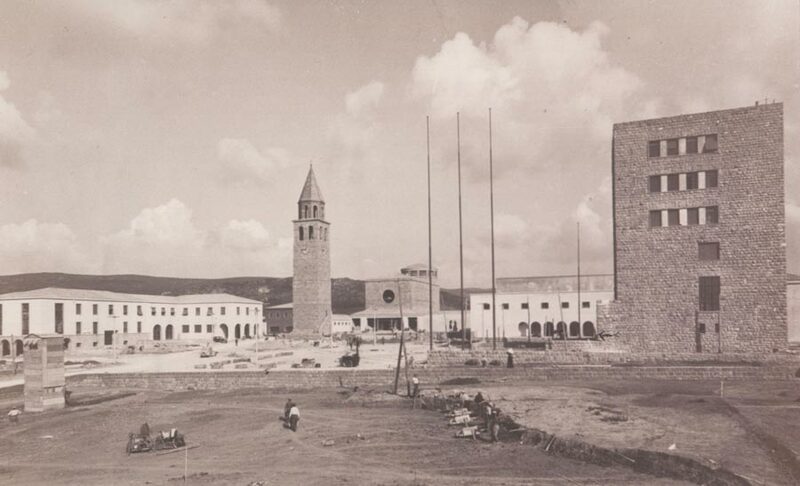 Cooperating with Gustavo Pulitzer Finali, he is also entrusted to create works of arts for new mining towns: Arsia in Istria (1937) and Carbonia in Sardinia (1938). 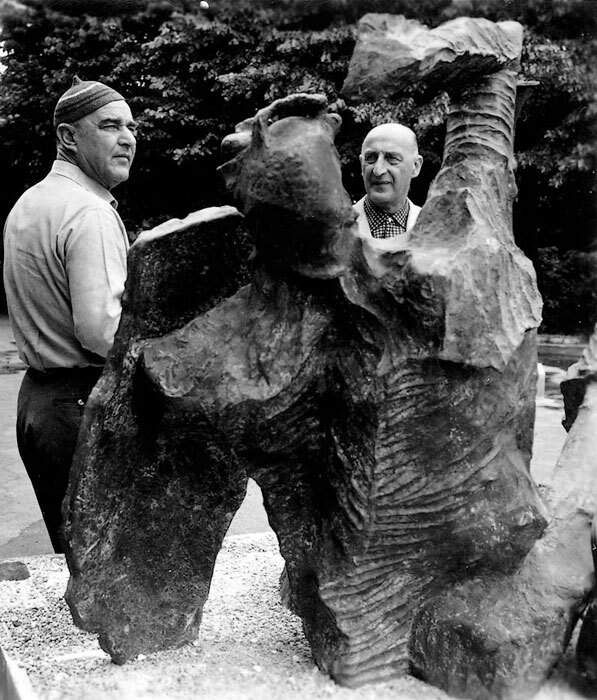 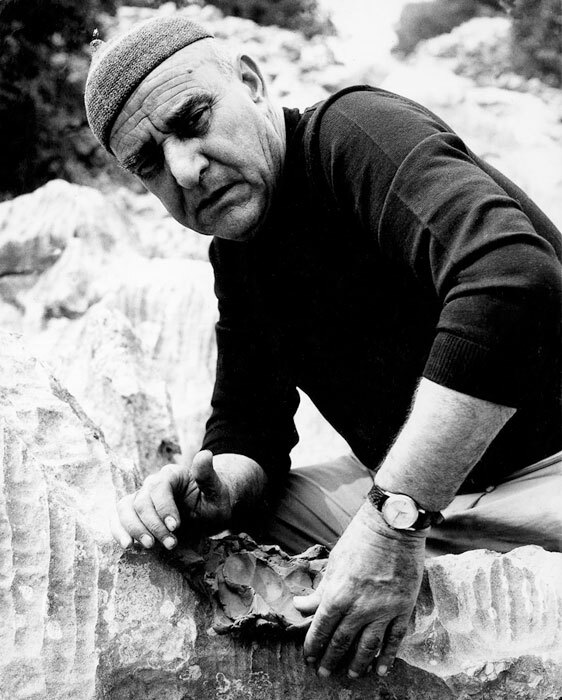 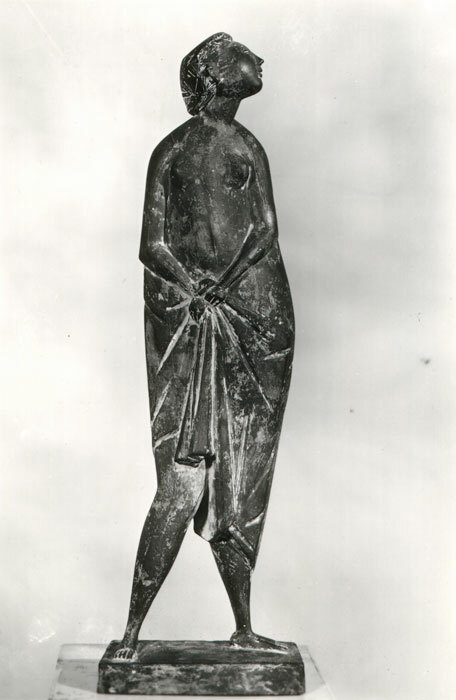 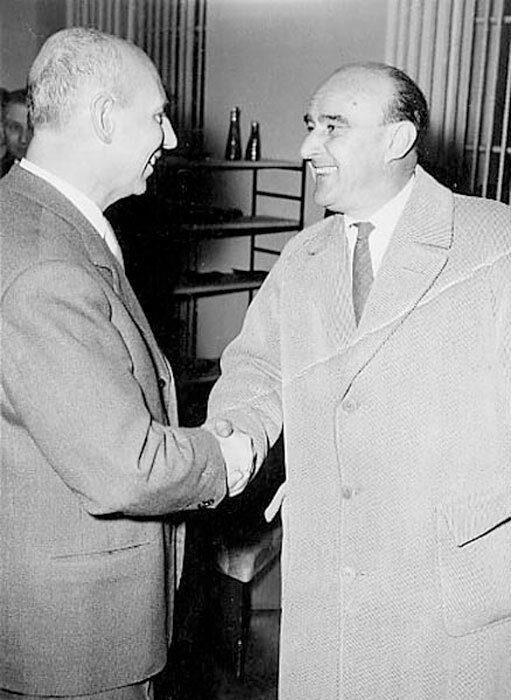 The participation in the first Roman Quadriennale enables him to get in touch with Medardo Rosso’s sculpture, but most of all Arturo Martini’s art, which, as he himself said, provided him with a real “shake” and such a deep emotion (together with the discovery of the Etruscan art in Museo di Villa Giulia in Rome), as to drive him to a freedom and a naturalness of forms, which he already aimed at. 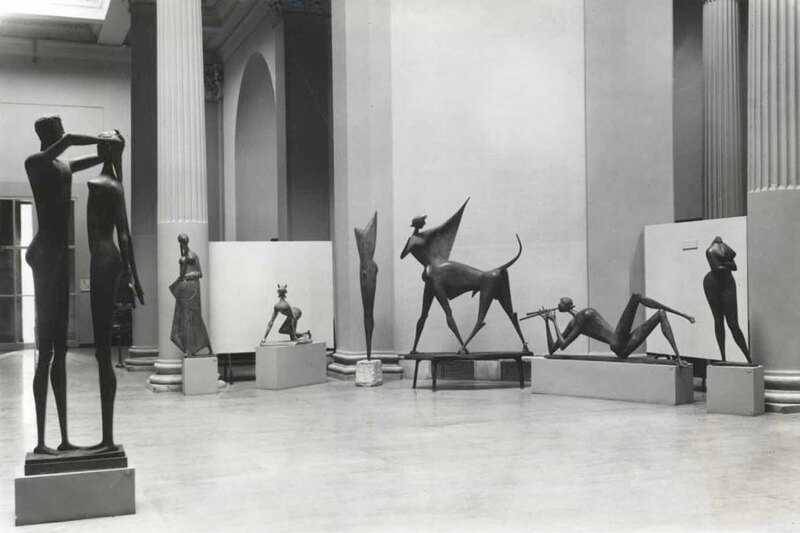 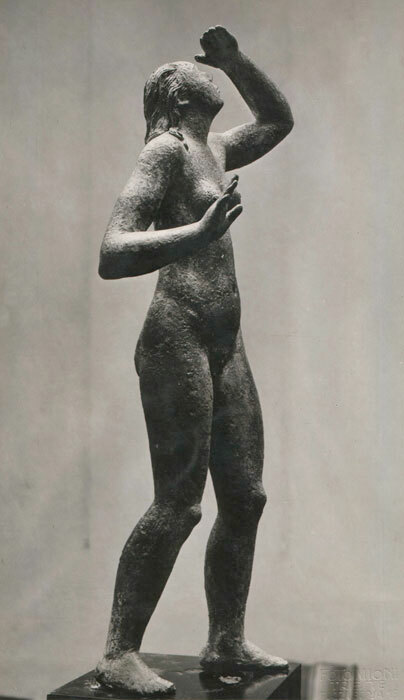 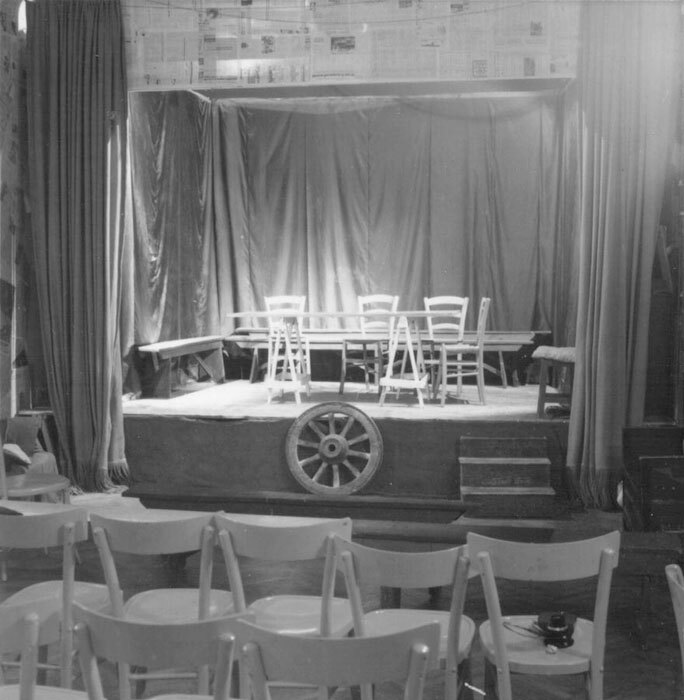 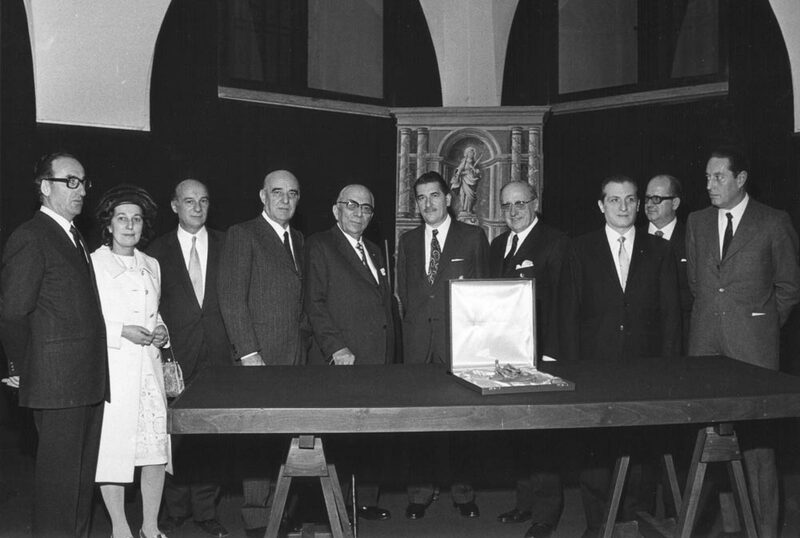 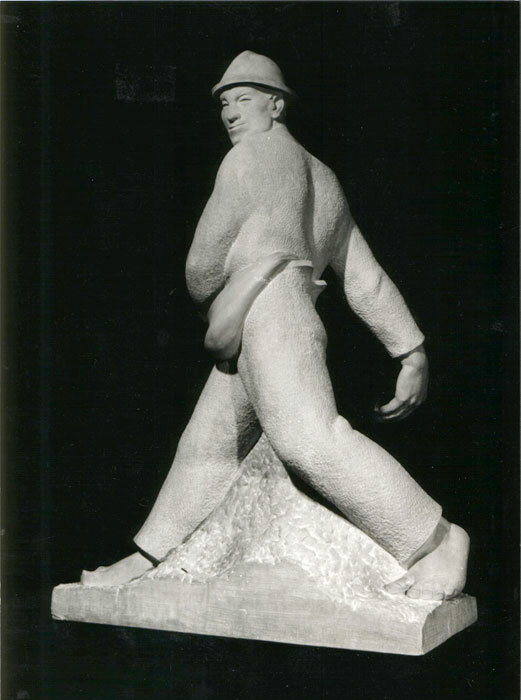 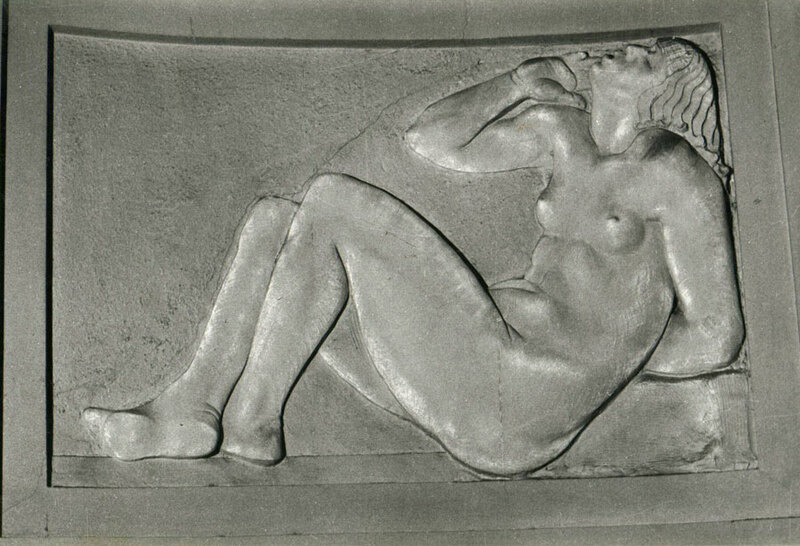 Shows the monumental plaster Icaro at the fifth Triennale in Milan in 1933, in the hall of Mostra Internazionale dei Trasporti designed by Gustavo Pulitzer Finali, together with drawings by Bruno Munari, for which he is awarded the Silver Medal Certificate; Icaro becomes the symbol of the entire exhibition, published on several magazines, among which, full-page on «Casabella» in August 1933 with a review by Edoardo Persico. 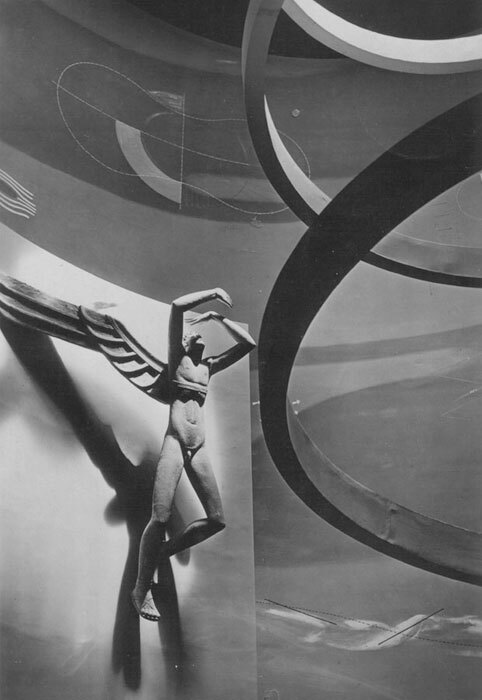 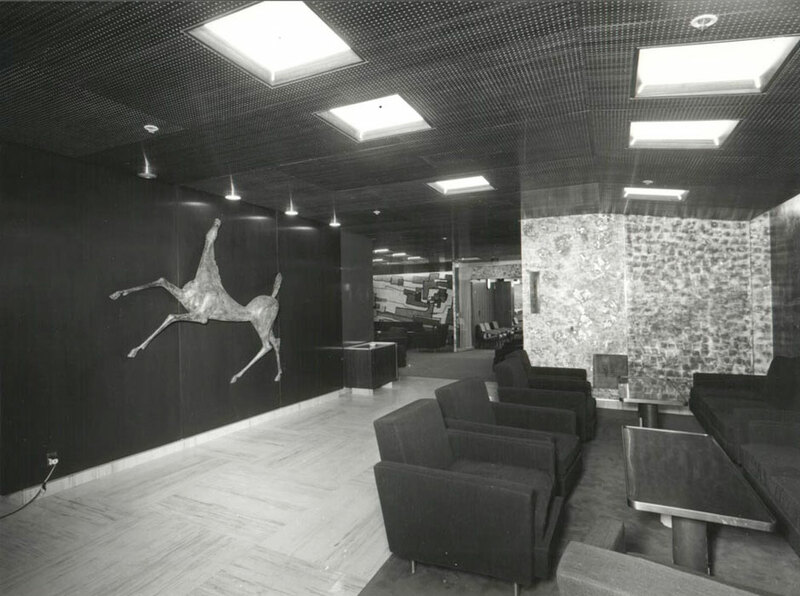 The year after the work is re-mounted in the Sala d’Icaro by architect Giuseppe Pagano with wall paintings by Bruno Munari in the Esposizione dell’Aeronautica Italiana at Palazzo dell’Arte della Triennale in Milan. 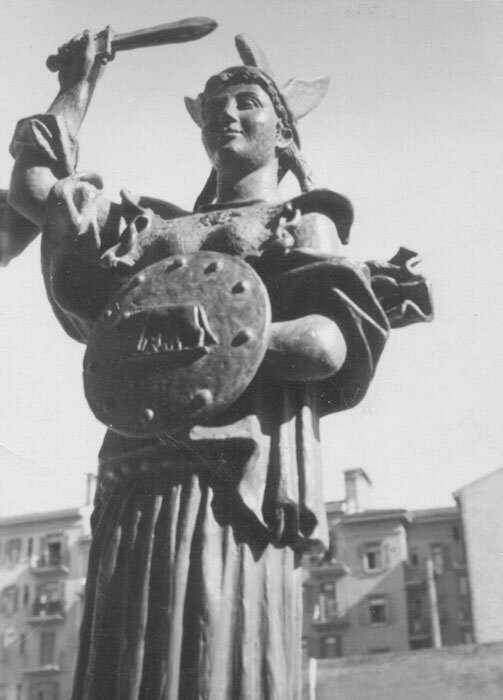 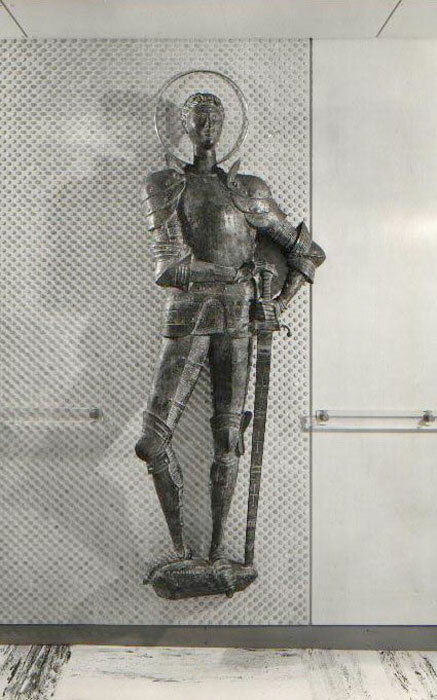 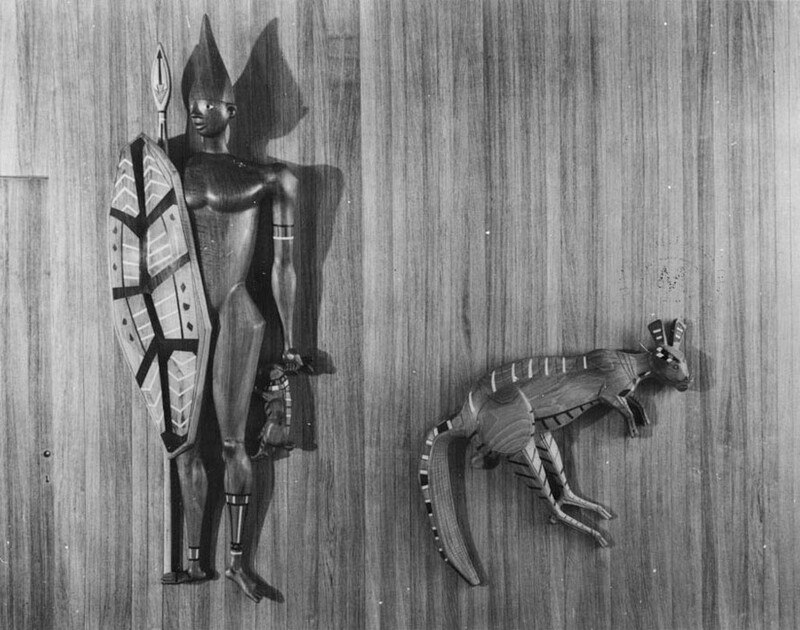 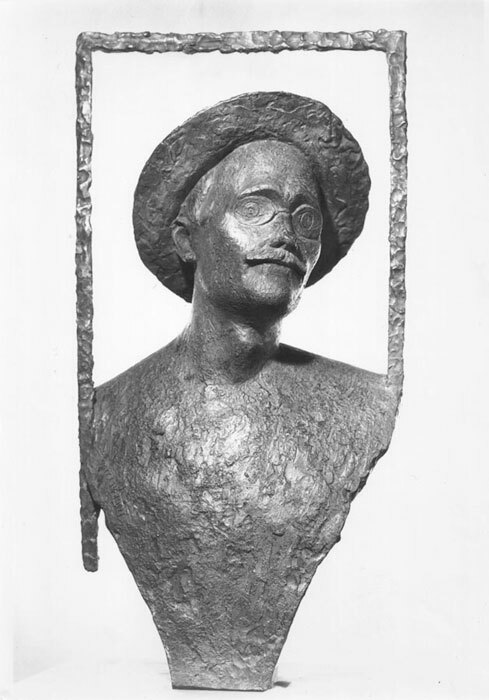 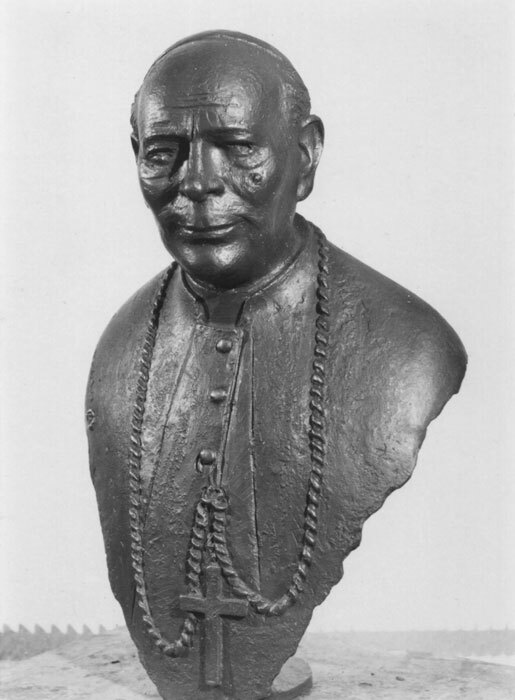 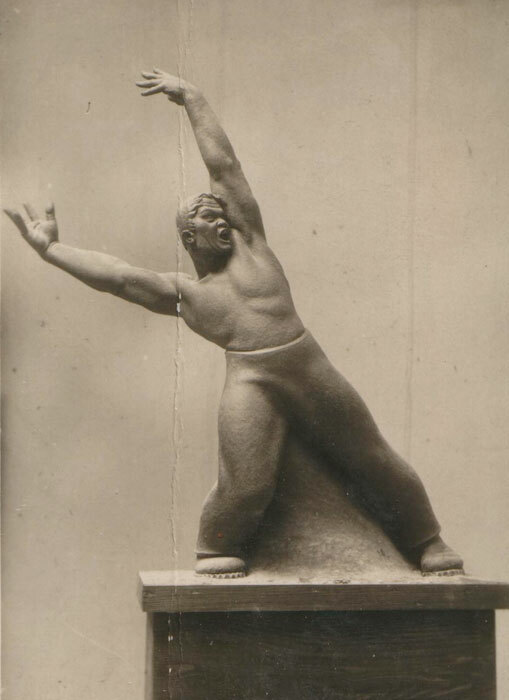 He starts winning prestigious awards from abroad: Diploma d’Onore in 1936 at the Italian Art Exhibition in Budapest, Silver Medal Certificate at the Universal Exhibition in Paris in 1937 and Gold Medal for Sculpture at the International Exhibition in Budapest in 1938, while is invited to the Universal Exhibition in New York in 1939. 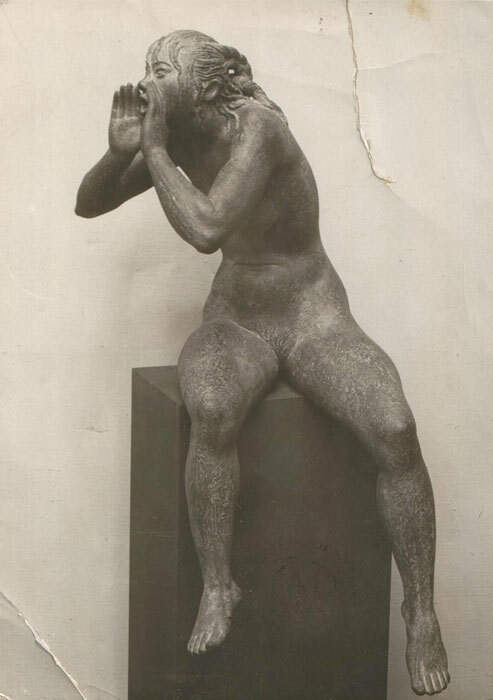 He is invited to exhibit in a personal room at the XXI Biennale in Venice in 1938, welcome as a revelation of the young Italian sculpture. 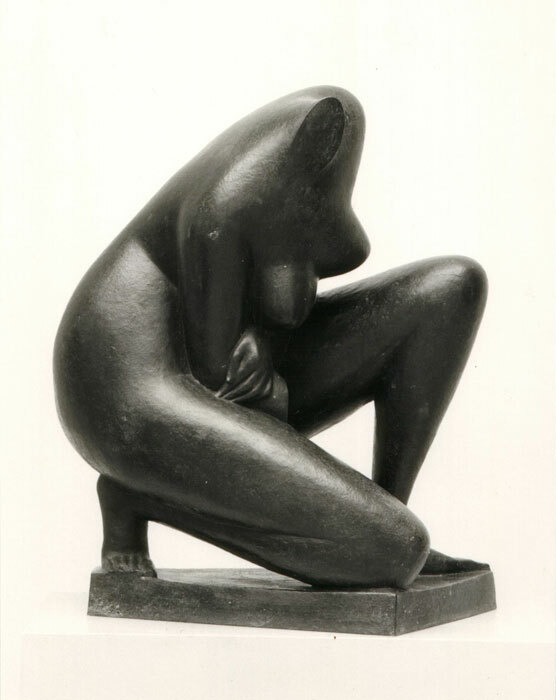 Between the thirties and forties his sculpture style acquires rhythm and dynamism, being admiring the classic idealism of the French sculptor Aristide Maillol and reaching a plastic consciousness that is repeatedly awarded at the main Italian art exhibitions at that time: in 1940 he gets the Premio Unico of Italian Academy from Benito Mussolini; in 1941 the First Prize for Sculpture “Medardo Rosso”, thanks to the bronze Eva (1939) at the III Mostra del Sindacato Nazionale Fascista Belle Arti in Milano; in 1943, thanks to Venere marina (1942), the National First Sculpture Prize “Donatello” in Florence; in the same year the First Prize for Sculpture at the National Art Exhibition in Verona. 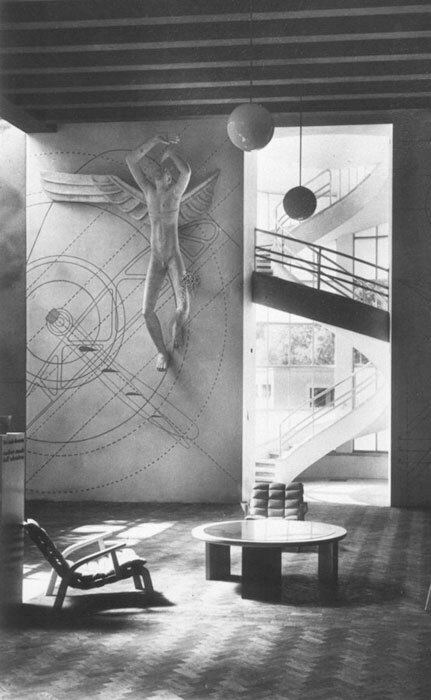 On Giò Ponti’s notice in 1940 he is invited to cooperate for the restoration of the rectorate at the University of Padua, the Palazzo del Bo, together with important artists such as Arturo Martini, Massimo Campigli, Filippo De Pisis, Gino Severini, Bruno Saetti, Achille Funi, when he creates the figurative bronze handles, Minerva and Apollo, for the large doors between the Academic Senate and the Cathedral, as well as Crocefisso for the rector’s room. 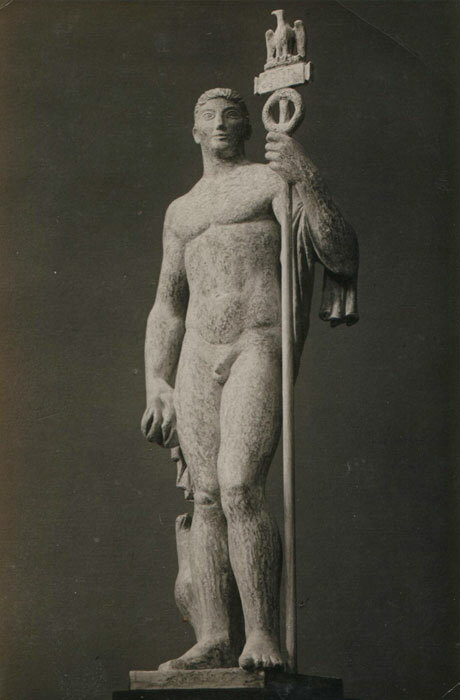 In that occasion he meets the Paduan enamel artist Paolo De Paoli, having then a long fellowship with him. 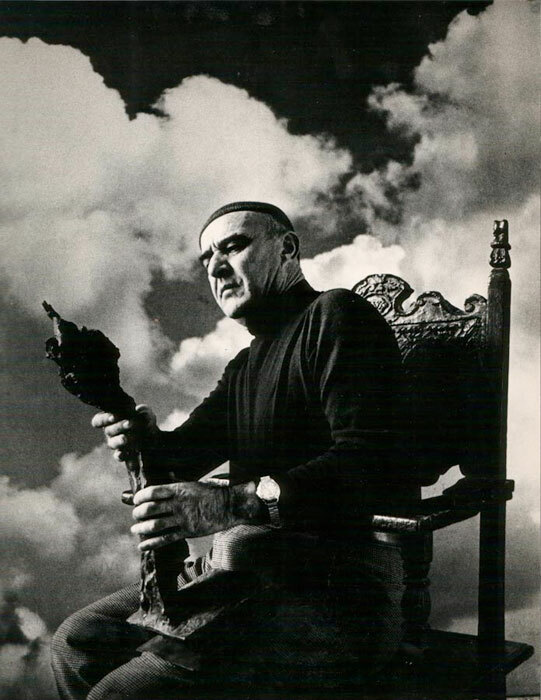 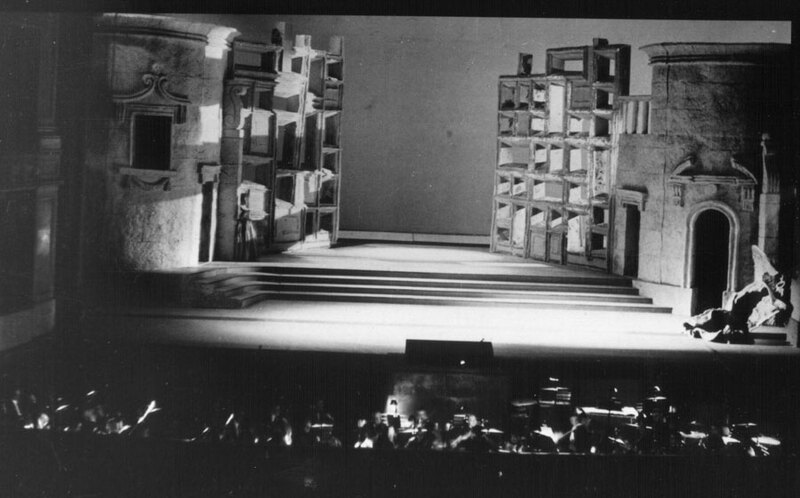 In 1948 he makes his premier at Giuseppe Verdi theatre in Trieste, designing sets and costumes for the ballet Cartoni animati by Mario Bugamelli. 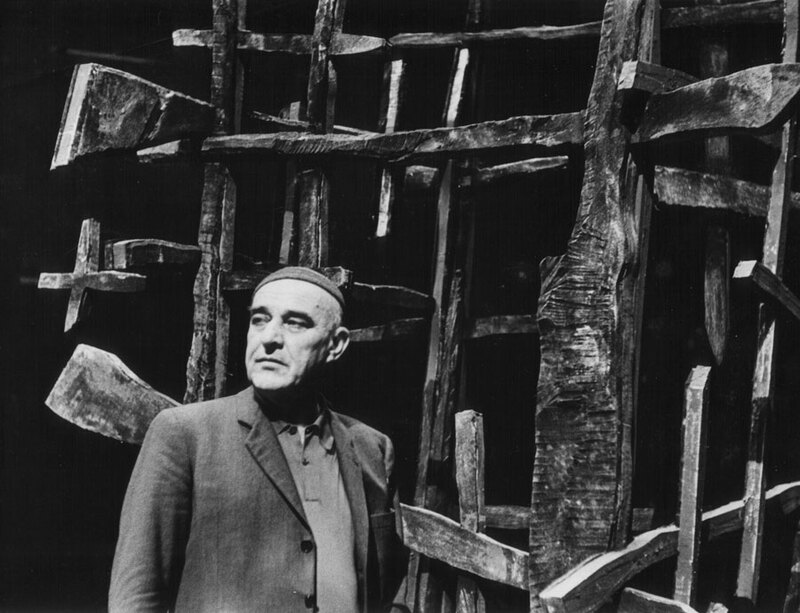 His artistic creation goes on with the foundation of La Cantina group in 1957, which introduces avant-garde performances, sometimes premiering, with frequent collaborations with the theatre Giuseppe Verdi and Teatro Stabile in Trieste, by managing more than twenty-five shows till 1974 as set and costume designer and art director, among which we can remember the sets and costumes for the ballet Tautologos by Aurel Milloss and for Don Giovanni by Mozart at the Rome Opera House, in 1969 and 1970 respectively. 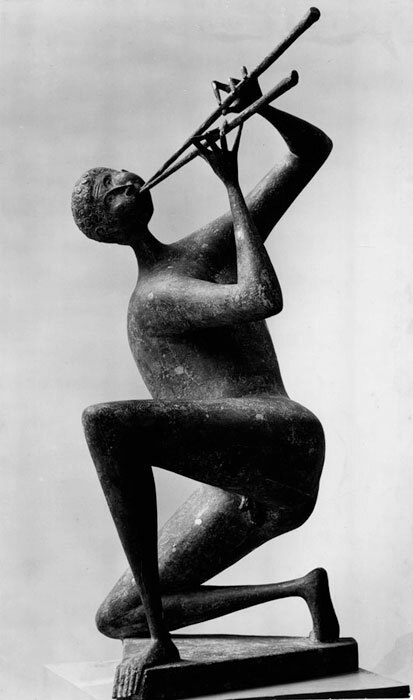 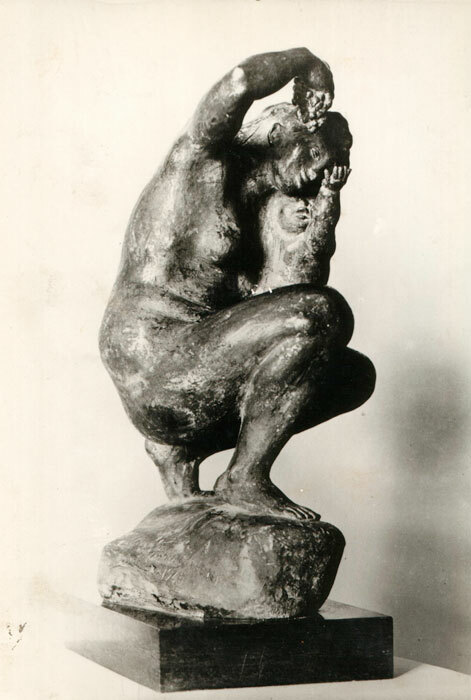 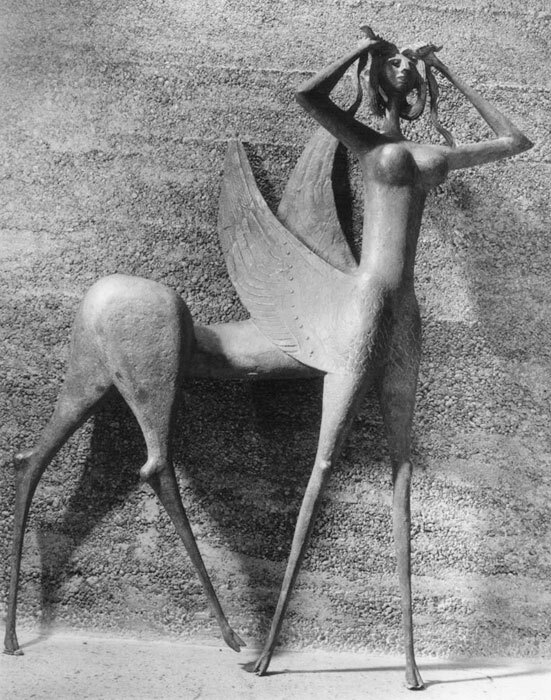 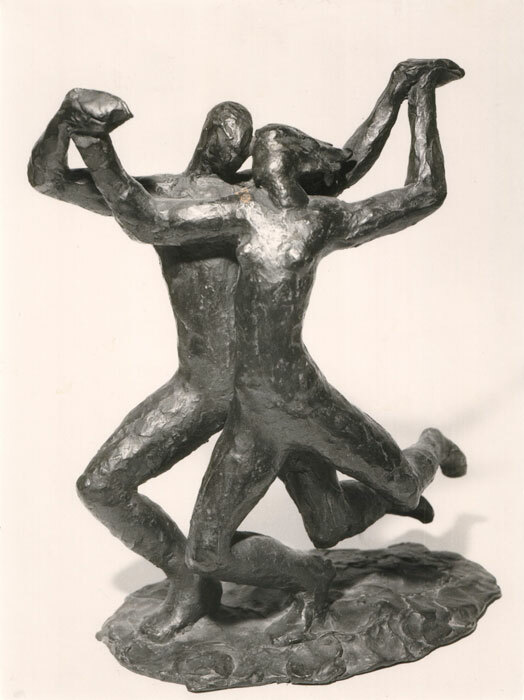 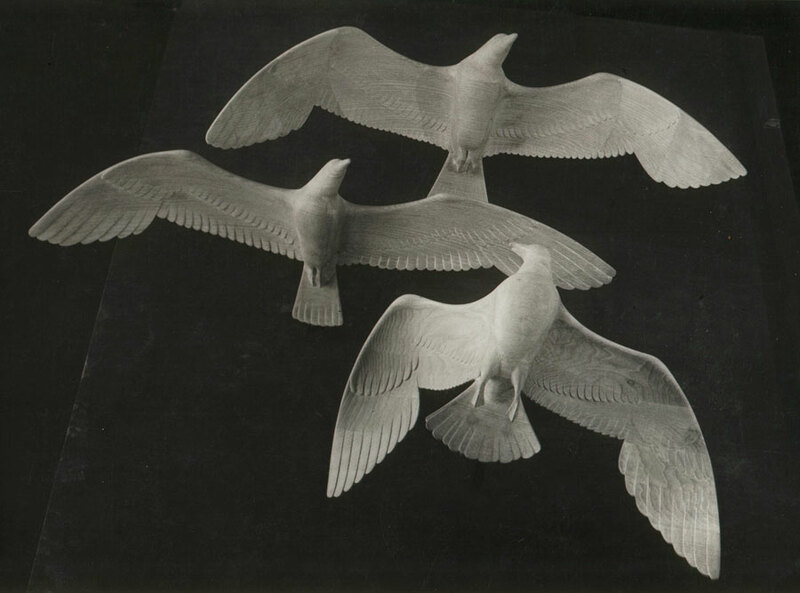 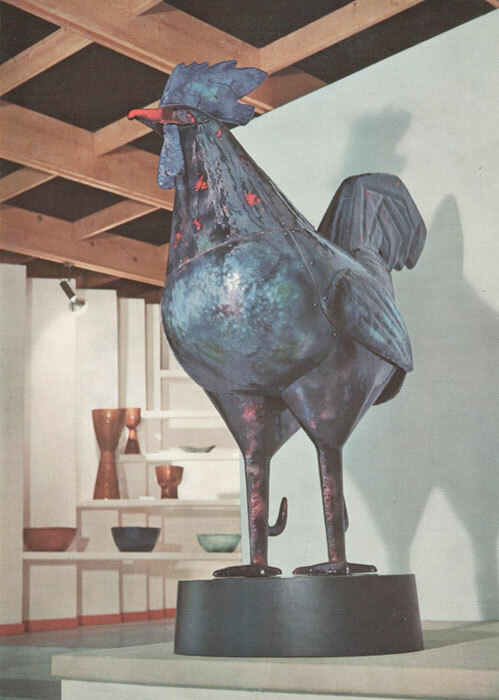 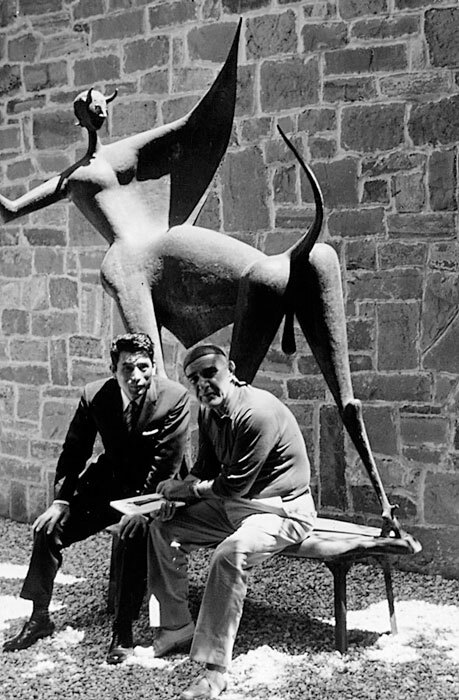 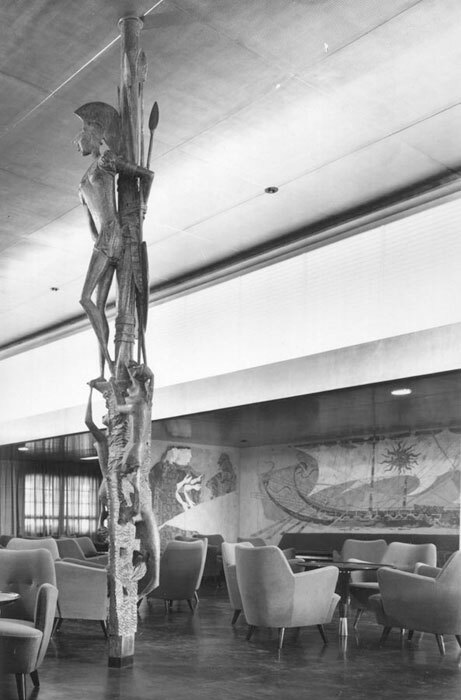 Wins the First Prize for an Italian Sculptor at the XXV Biennale in Venice in 1950, shared with Luciano Minguzzi; then, the First Prize “Parigi” for Sculpture in Cortina d’Ampezzo. 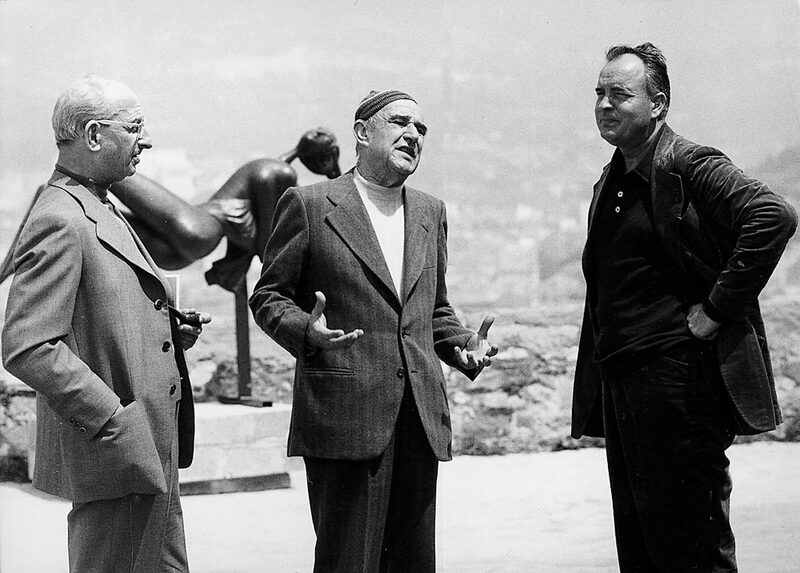 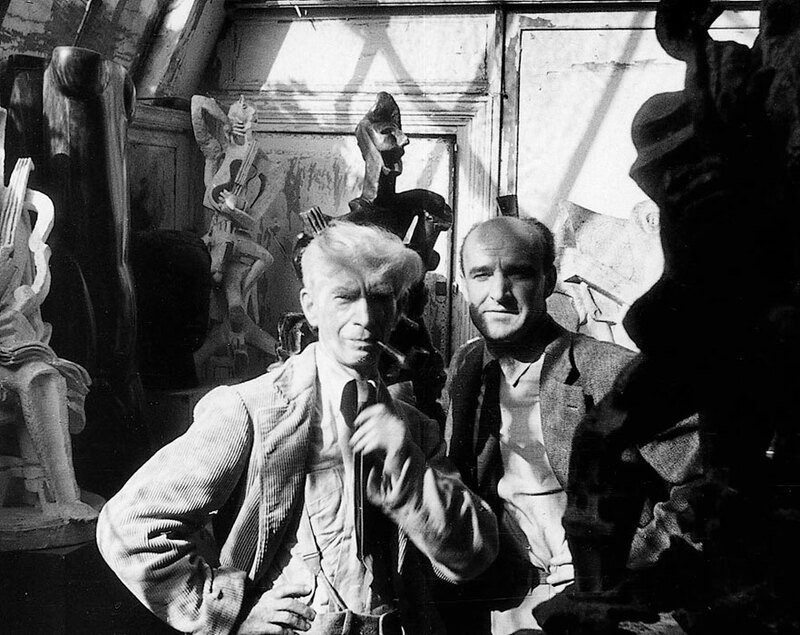 He trips to Paris for an important one-man exhibition at the Galerie Drouant – David in 1953, coming into contact with the Parisian art scene, frequenting the cubist sculptor Ossip Zadkine, as well as the writer and jazz musician Boris Vian and the actor-director Jean Louis Barrault, who get him close to the theatre world again. 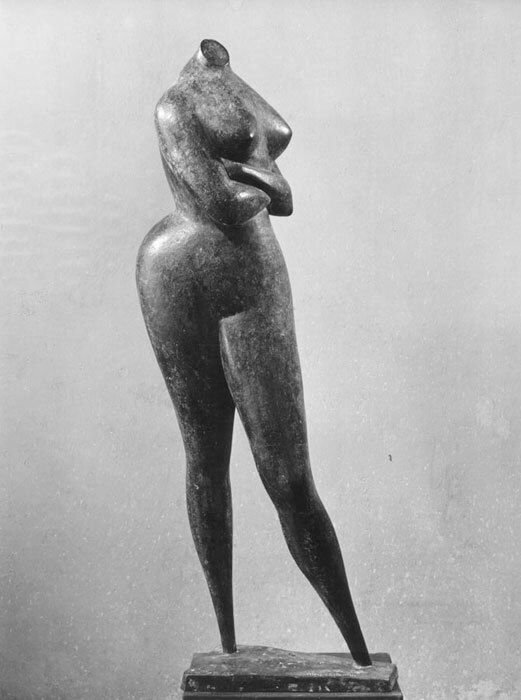 He visits the atelier of Costantin Brancusi and trips to Chartres to study the Gothic cathedral: all this gives further precious stimulus to his plastic research, that, even through his own reassessment of the cubist language, reaches autonomous, stylized forms of elegant compositional fineness during the fifties. 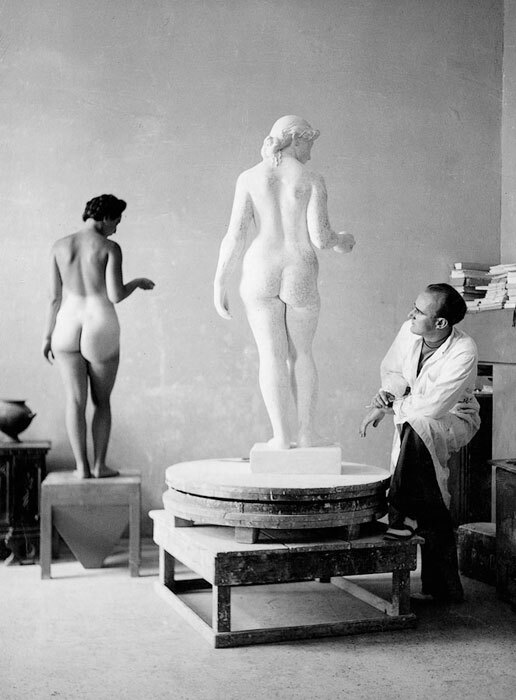 He will give another one-man exhibition in Paris in 1959. 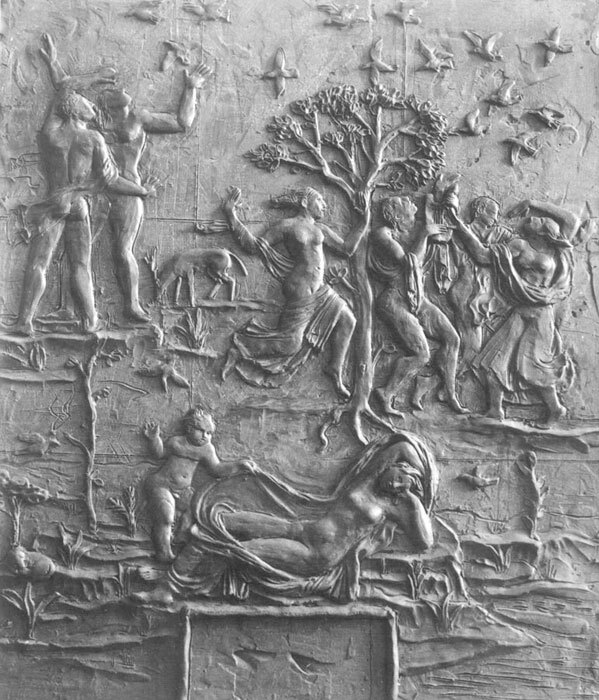 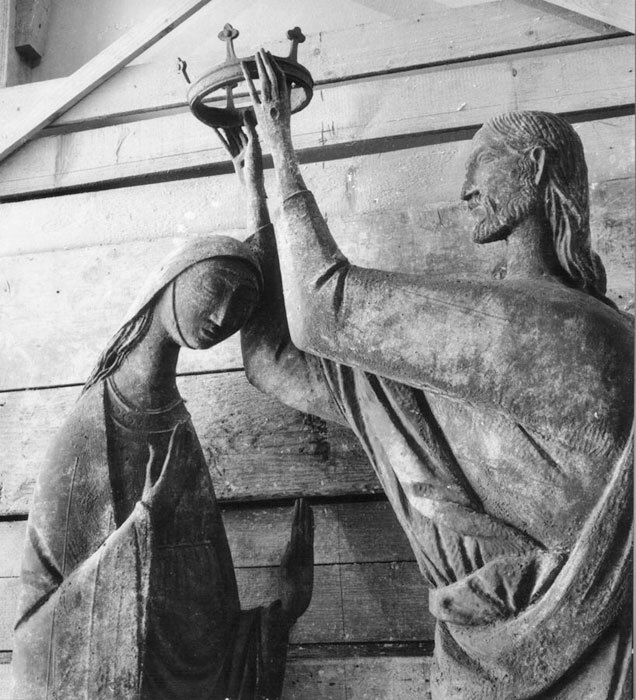 He wins the Sacred Art competition of the Pontificia Commissione Centrale in 1951 for a sculpture to be placed on the façade of the Chiesa Nuova di S. Antonio Abate in Recoaro Terme (Vicenza), innovative design by architect Giuseppe Vaccaro; his monumental sculpture Incoronazione di Maria (1957) will be finally installed on the church in 1958. 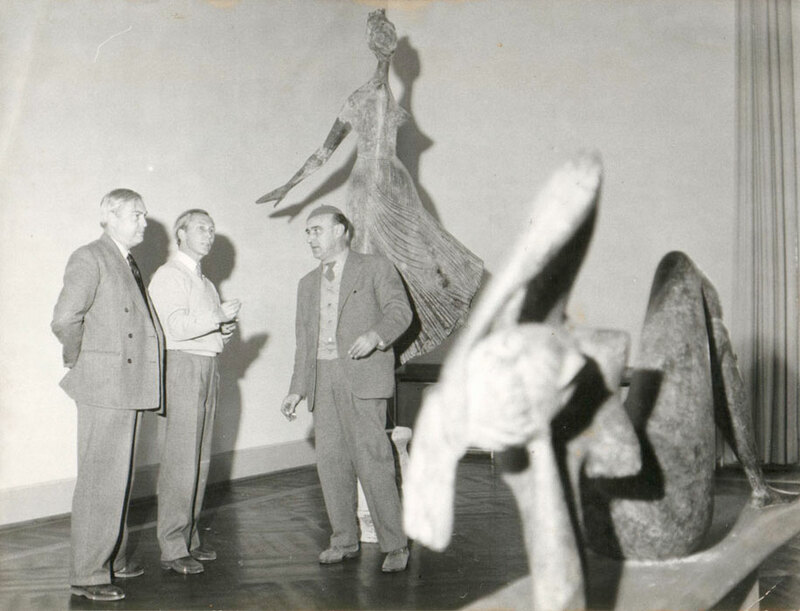 He is member of Experts Committee appointed by the Venice Biennale for the participation of Italian artists at First International Biennal Art Exhibition of São Paulo (Brazil) in 1951. 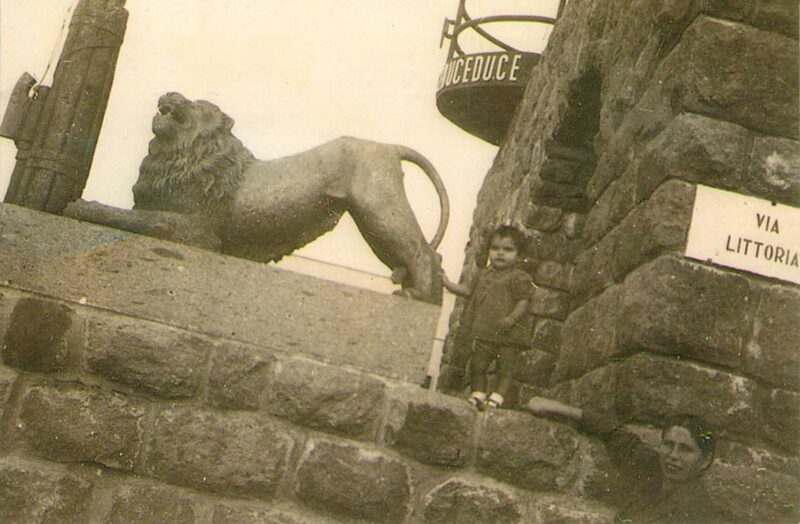 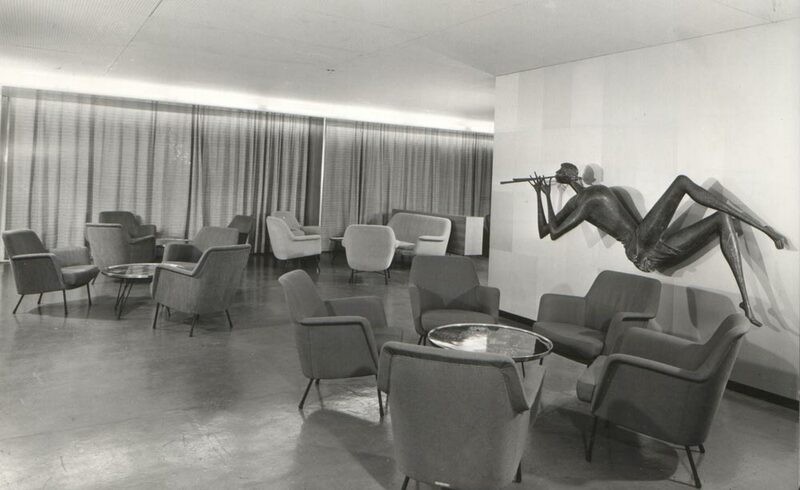 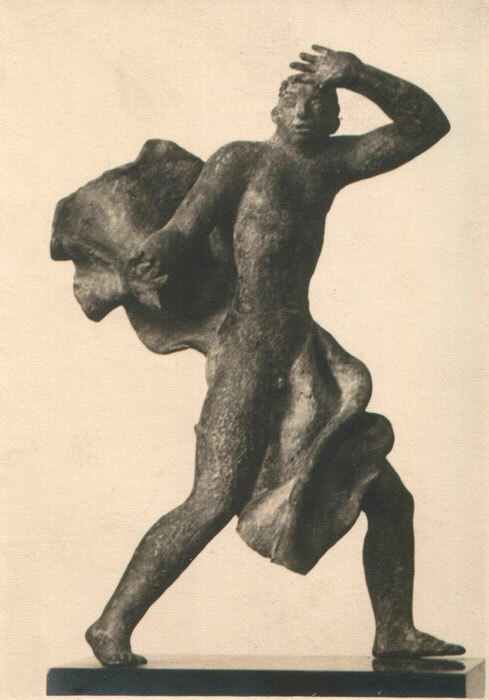 Hence he shows and wins the Purchase Prize by Modern Art Museum at II International Biennale of São Paulo in 1953. 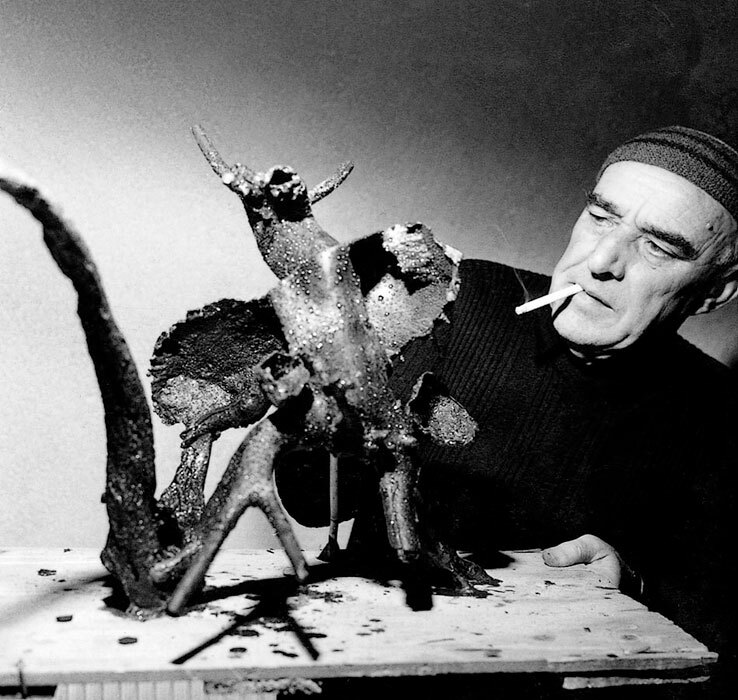 Since 1953 he participates at eight editions of Biennale of Sculpture in Antwerp (Belgium) showing his works of art in several museums in Northern Europe. 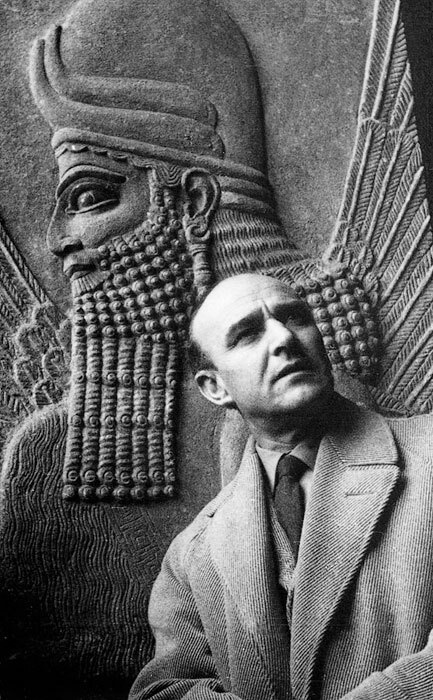 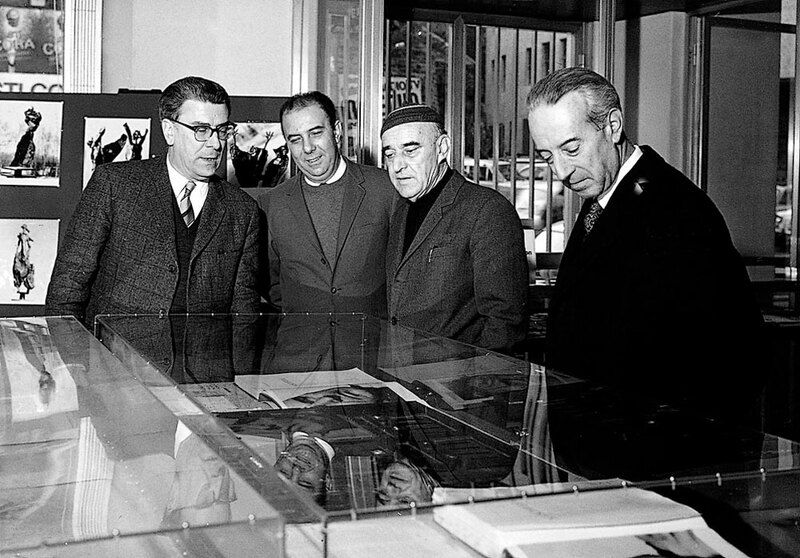 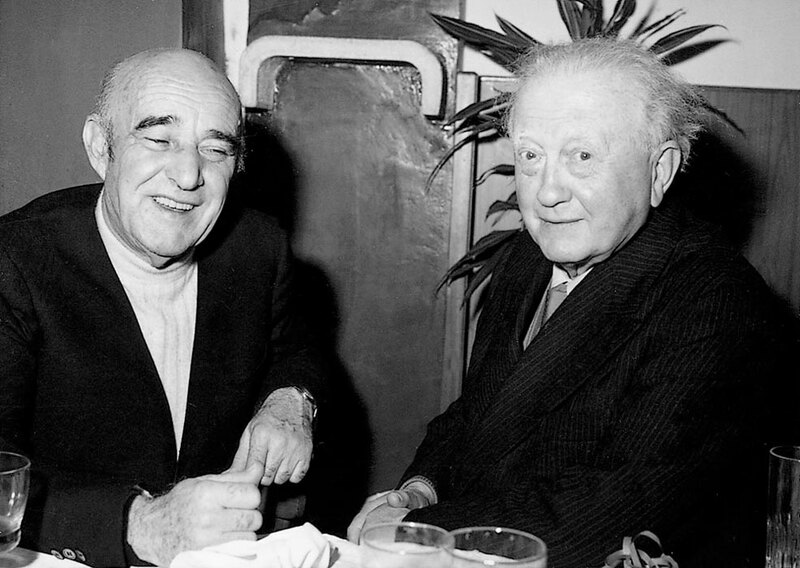 German art critic Bernhard Degenhart strongly promotes his solo exhibition in Munich in 1957, being then a travelling exhibition through the main towns in Germany. 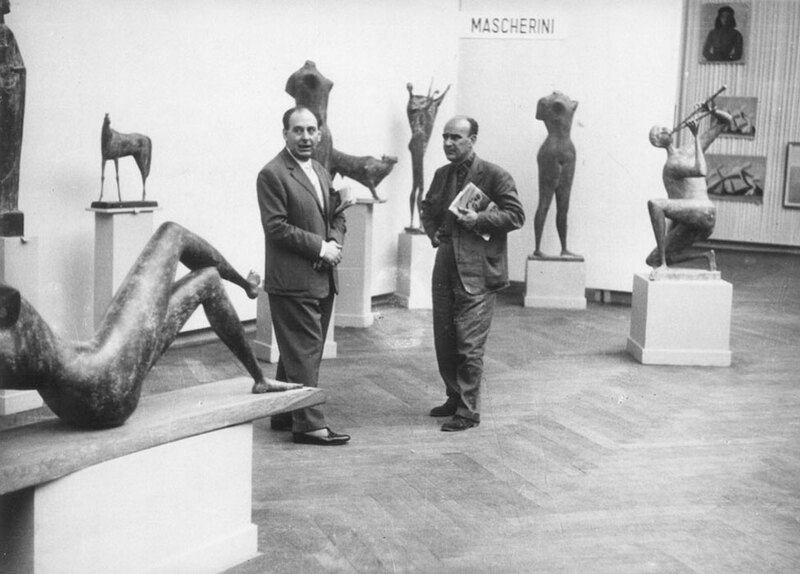 He shows his works at innumerable travelling exhibitions of Italian sculpture abroad, among which several ones in Japan, giving two solo exhibitions in Tokyo in 1968 and 1972; Japanese museums hold his works, among which, e.g., the large bronzes Chimera alata (1958) and Primavera (1968), both of them at The Hakone Open Air Museum in Yokohama. 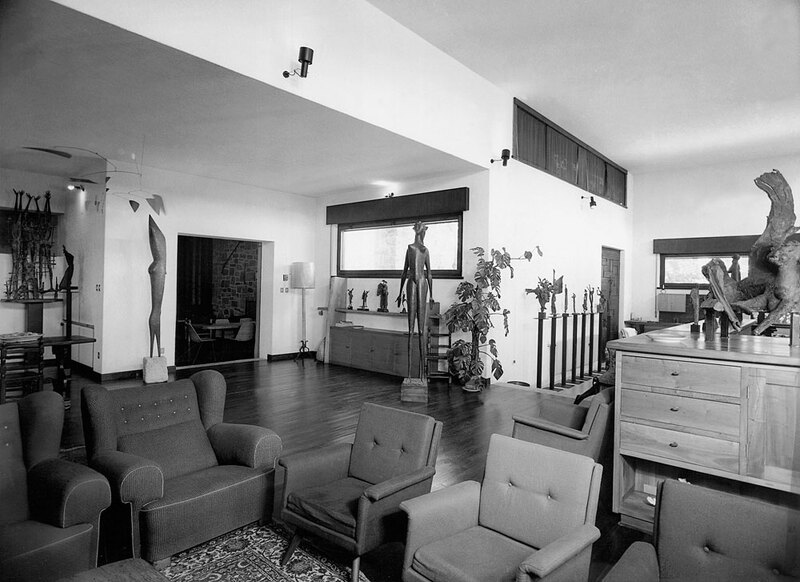 He holds offices at the Sindacato delle Belle Arti (1940-1971), Associazione Artisti d’Italia (Milan, 1948), Venice Biennale Council (1952-1956), Consiglio Superiore delle Antichità e Belle Arti (1958-1962), Executive Council of the National Sculpture Committee at UNESCO (Paris, 1966-1969), as Inspector for Cultural and Environment Heritage of Trieste Province (1971-1983). 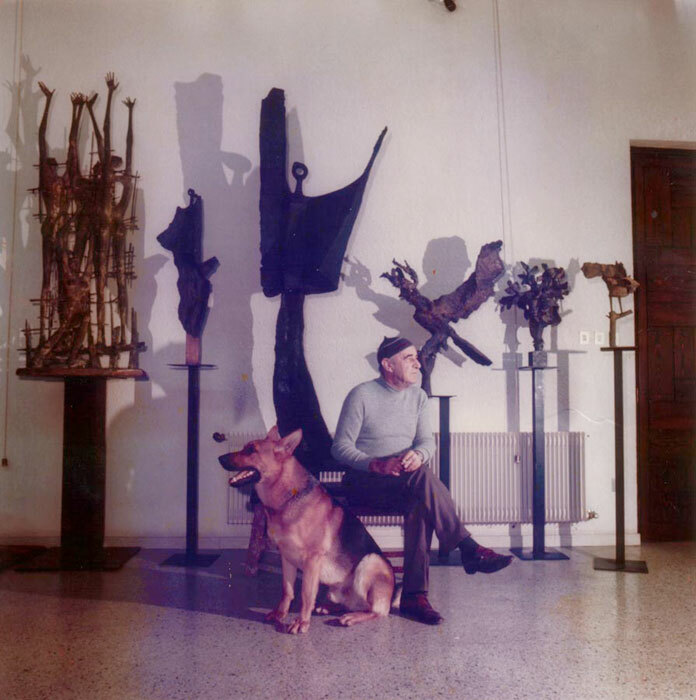 He is part of the administration of the Civico Museo Revoltella in Trieste from 1940 till 1975, strongly contributing to the enrichment of the contemporary art gallery of the museum. 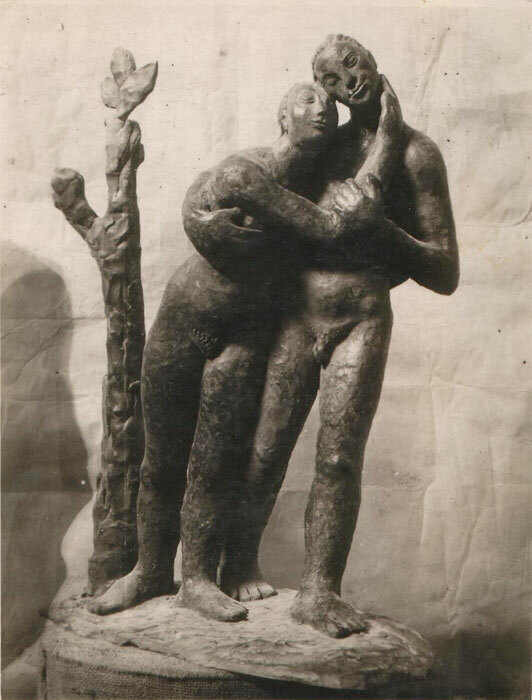 He is founding member of Circolo della Cultura delle Arti in Trieste in 1946, being director of its Figurative Arts Section till 1982, playing an important role in the dynamics of art and culture in the town of Trieste. 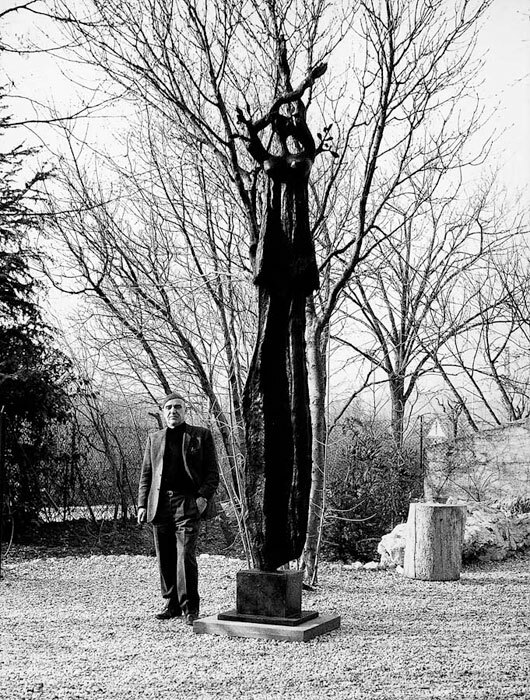 He is member of innumerable juries of National and International art exhibitions, member of Accademia degli Sventati (Udine, 1943), Accademia Nazionale di San Luca (Rome, 1948), Belgian Royal Academy (Bruxelles, 1961), Société Européenne de Culture (Venice, 1963), Accademia Clementina (Bologna, 1969), Accademia delle Arti del Disegno (Florence, 1970), as well as member of Rotary Club Trieste since 1952. 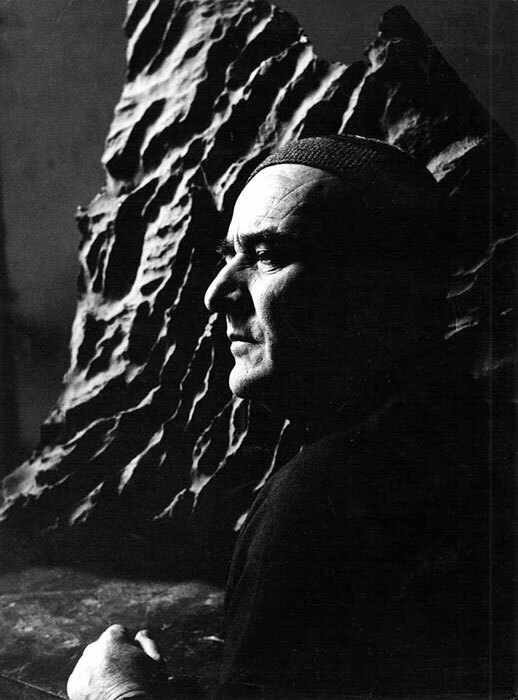 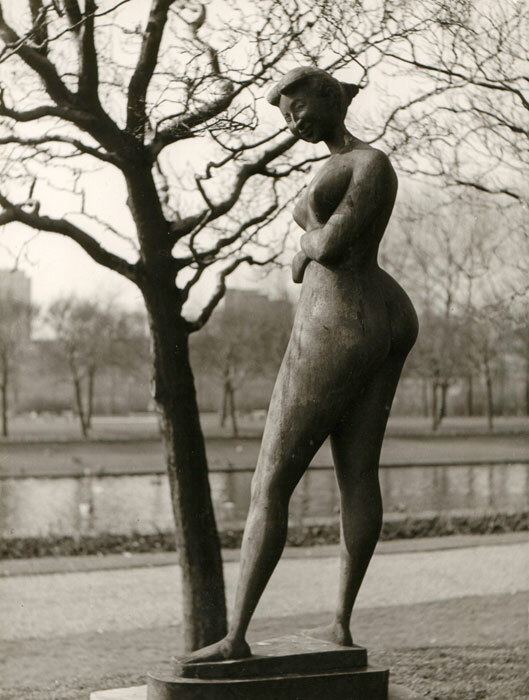 Also due to his very real participation to the International Competition for the Monument at Auschwitz (Poland) in 1958-1959, he starts to reconsider his style: since 1960 the extended, graceful and smooth forms of fifties turn into naturalistic and dramatic bronzes, often made of casts from karstic stones. 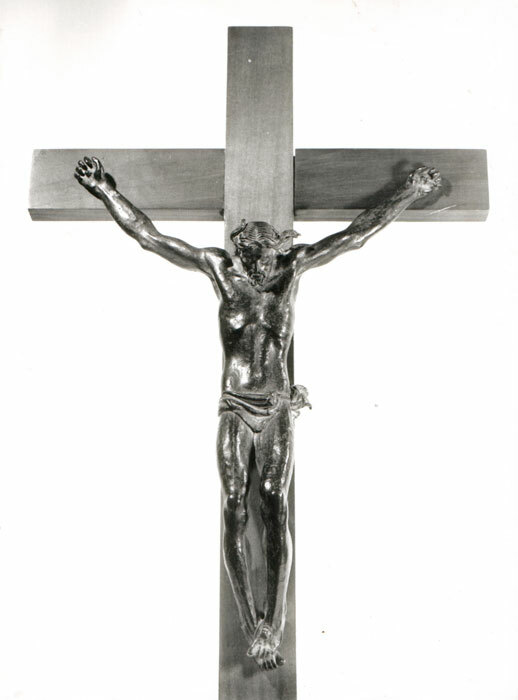 At the XXXI Venice Biennale in 1962 the Commission appointed by Istituto Internazionale di Arte Liturgica confers on him the First International Prize for Sculpture (Sacred Art) “as giving evidence of his deeply-felt religious need by works of sacred art”. 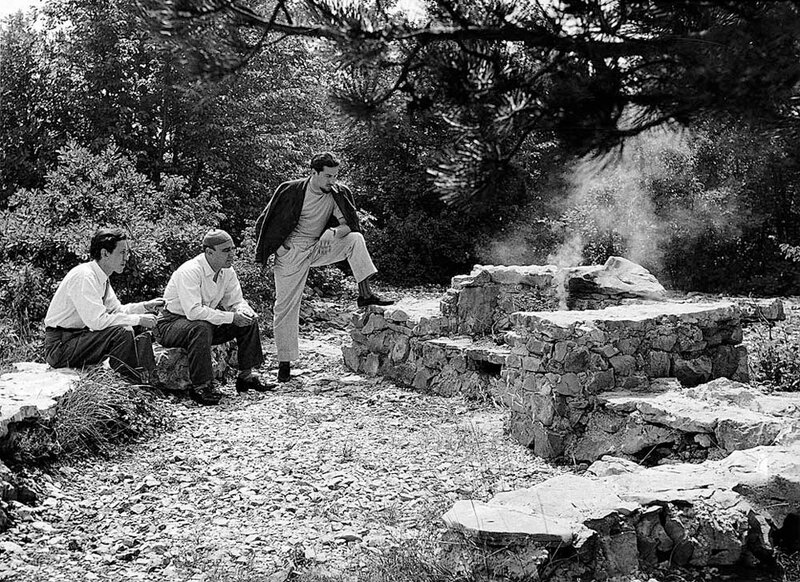 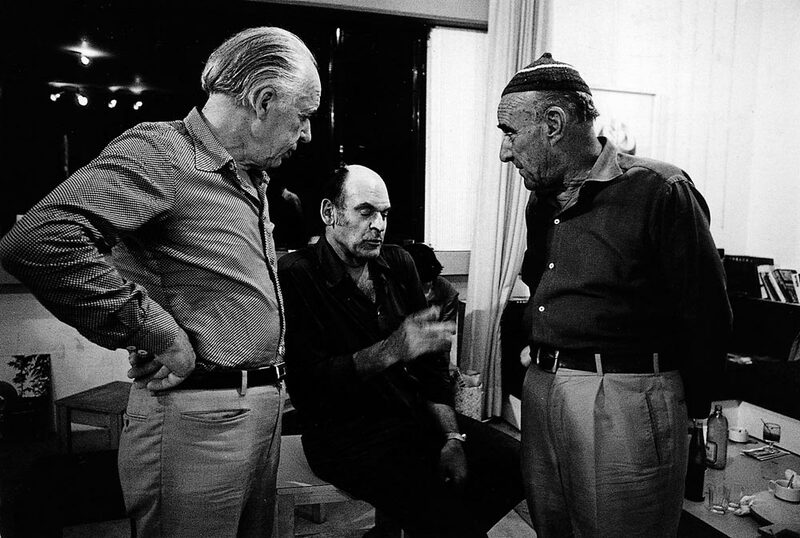 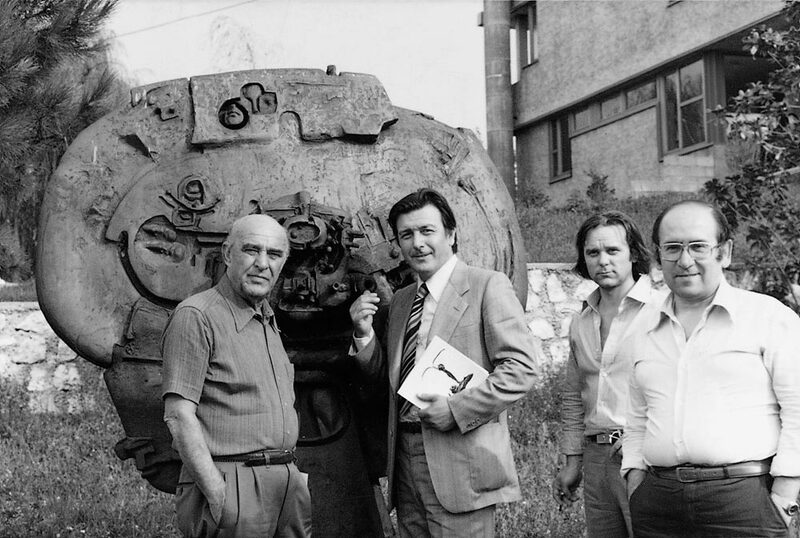 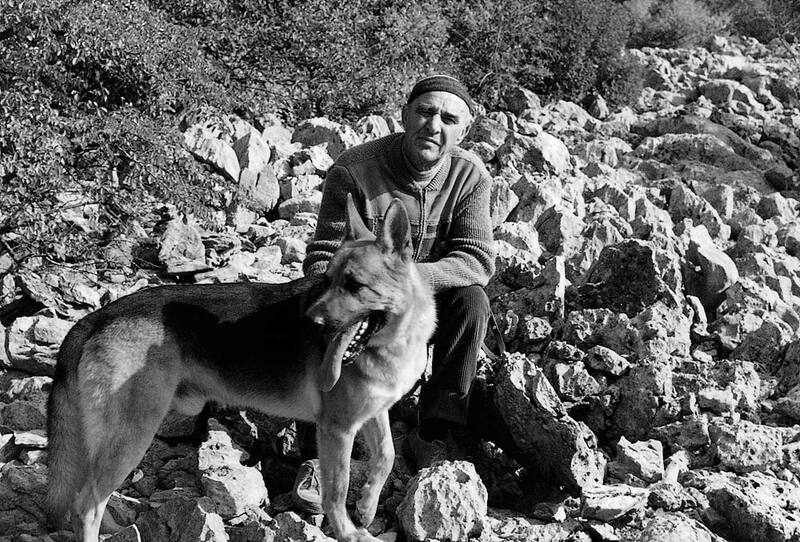 He moves his atelier and residence from Trieste to Sistiana on the Carso (Karst) in 1967, going on with close relationships with several poets (among them, Lina Galli, Alfonso Gatto, Manlio Malabotta, Biagio Marin, Giuseppe Ungaretti), writers and intellectuals (among them, Riccardo Bacchelli, Stelio Crise, Gillo Dorfles, Agnoldomenico Pica, Vanni Scheiwiller, Fulvio Tomizza), as well as artists, art dealers, critics and art historians (among them, Umbro Apollonio, Giulio Carlo Argan, Fortunato Bellonzi, Jean Bouret, Bernhard Degenhart, Gian Alberto Dell’Acqua, Arturo Manzano, Giuseppe Marchiori, Giorgio Mascherpa, Alessandro Mozzambani, Guido Perocco, Erich Steingräber, Marco Valsecchi). 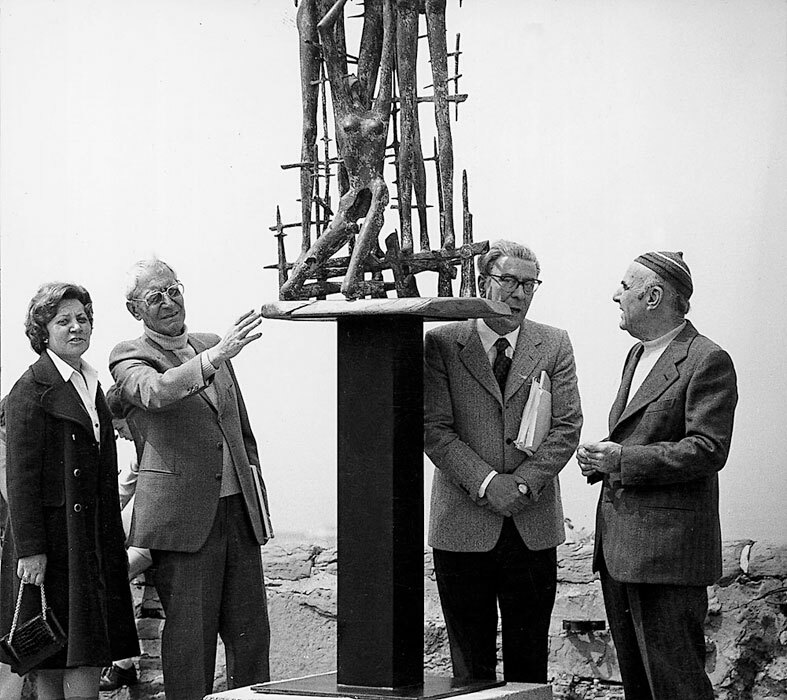 He is awarded the Umberto Biancamano Prize for Sculpture in Milan in 1970 with the statement: “Julian sculptor, nowadays among the greatest ones in the contemporary world, established himself thanks to fifty years work worldwide: from the primitive revelation he holds the prodigious instinct of creation in each statue, of rhythm and harmony, dominated by a plastic consciousness, vibrating with life” (the other prize winners are Giorgio De Chirico for Figurative Arts, Eugenio Montale for Culture, Ettore Sottsass for Design, Arnoldo Mondadori for Publishing, Riccardo Morandi for Architecture, Aldo Aniasi for Politics). 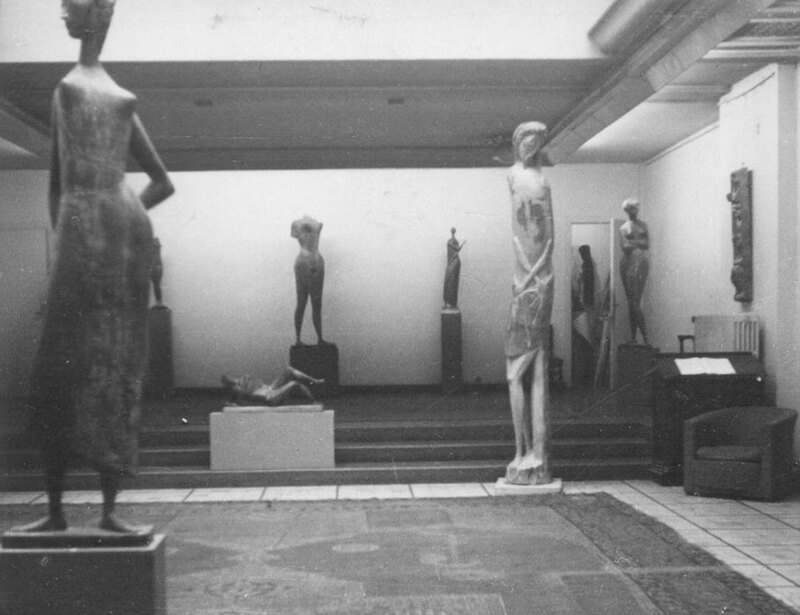 In the same year a one-man exhibition is held at the Internationale Sommerakademie fuer Bildende Kunst in Salzburg (Austria), where he gives a course in sculpture in 1970 and 1971. 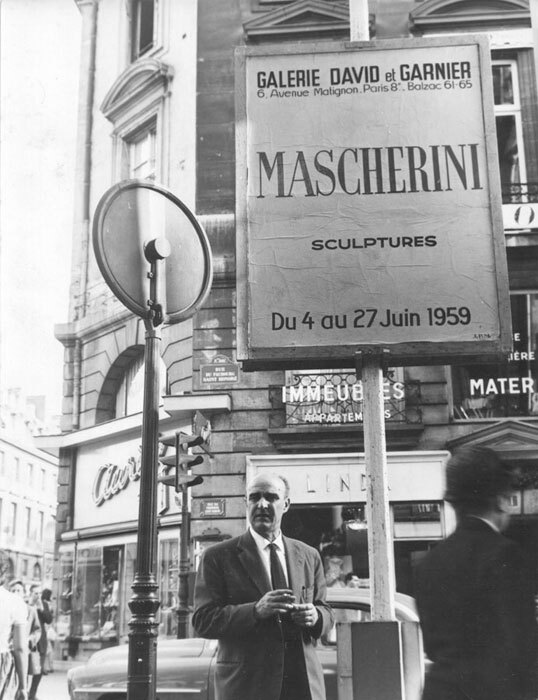 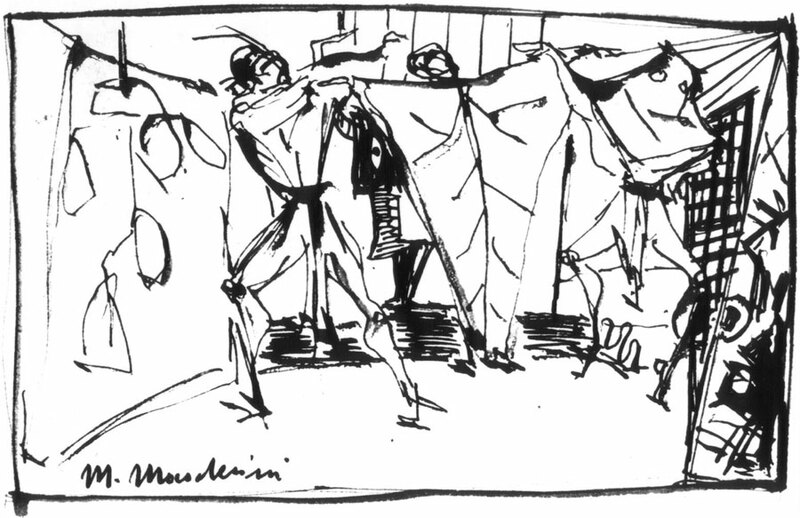 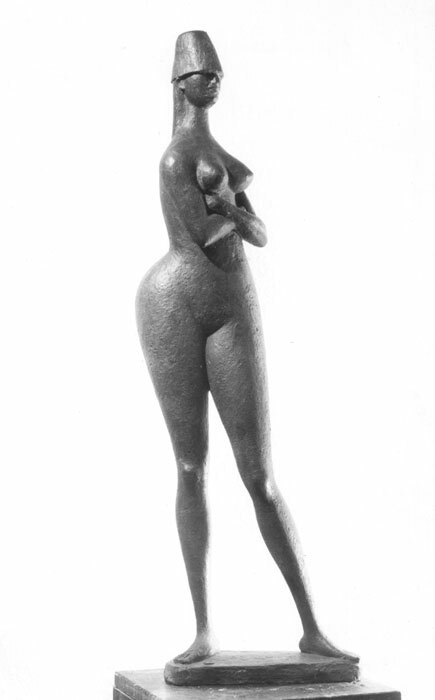 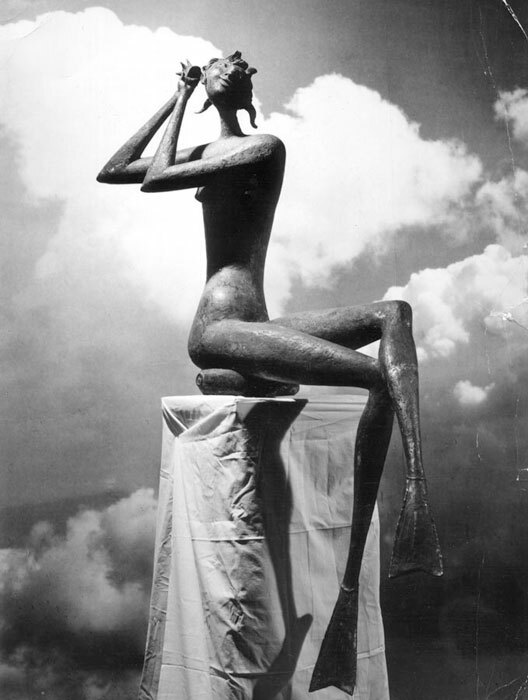 In the early seventies Mascherini faces a new existential and artistic crisis that brings him to drastically renew his style, shrinking from the human figuration, even though holding intense symbolic – allegorical contents; thus, the “Fiori” (Flowers) were born straight off between 1972 and 1974, forty or so bronzes of mythical – vegetative kind. 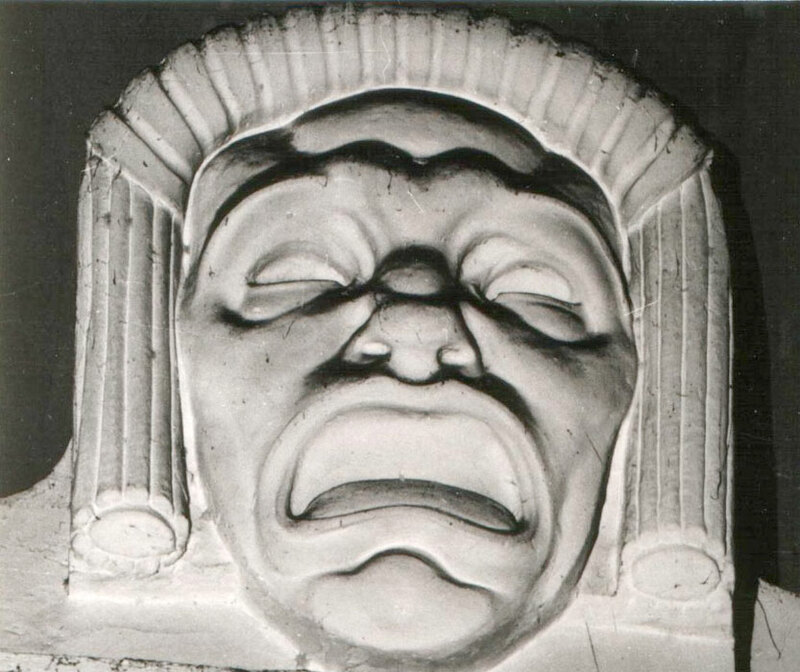 The dramatic force of this message, interpreted as between ecological invective and fear for overcoming by the avant-gardes, surprises and divides public and critics. 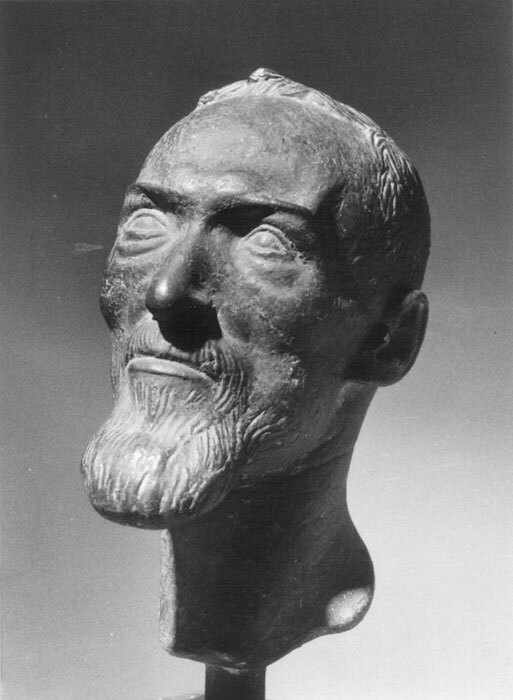 Anyway, it is the real will of the sculptor, who will produce very few works of art during the last ten years of his life. 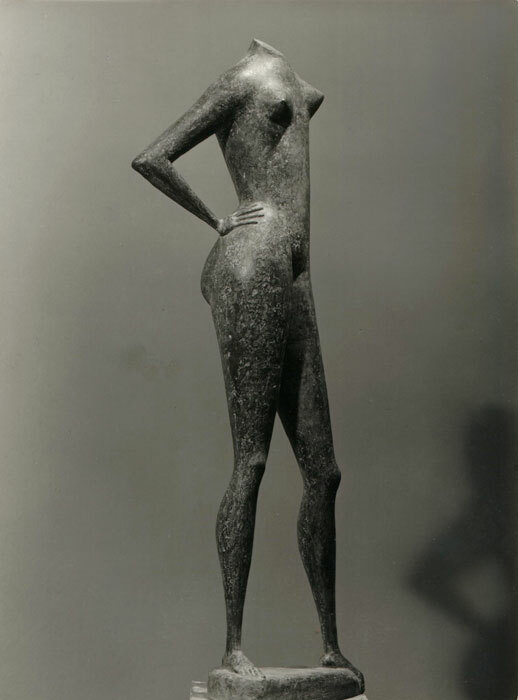 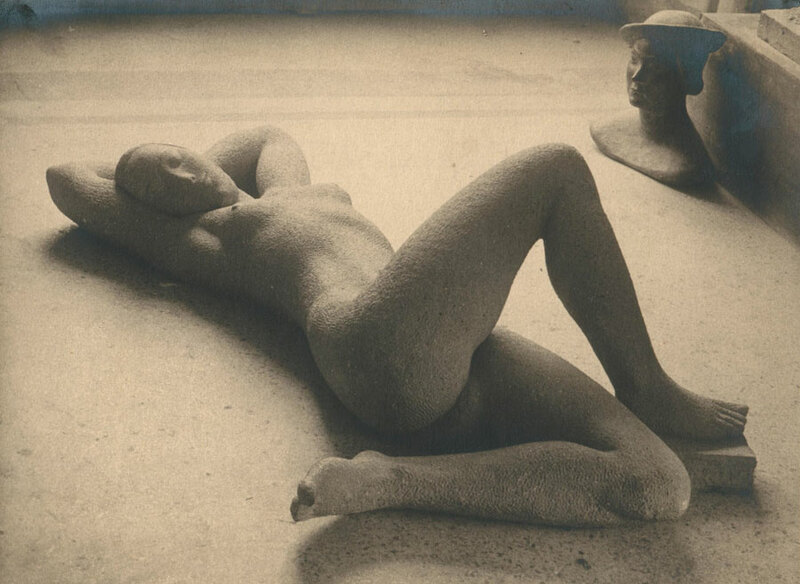 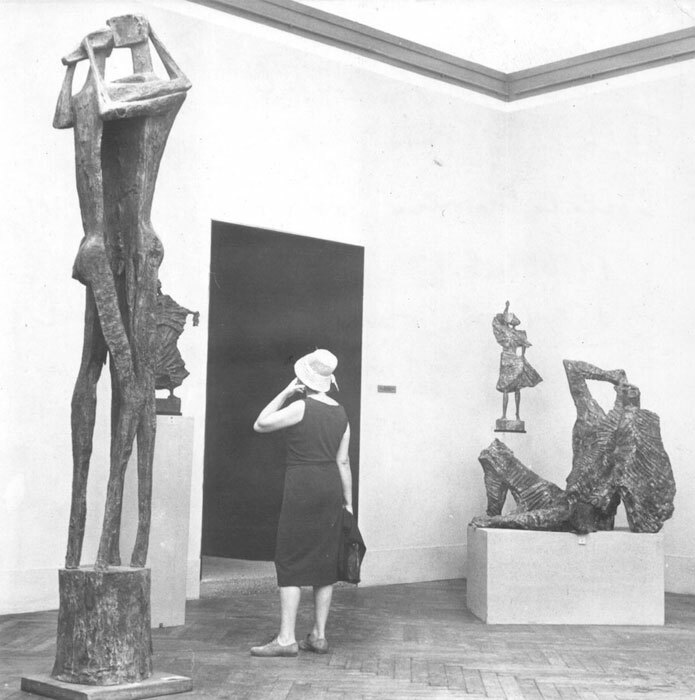 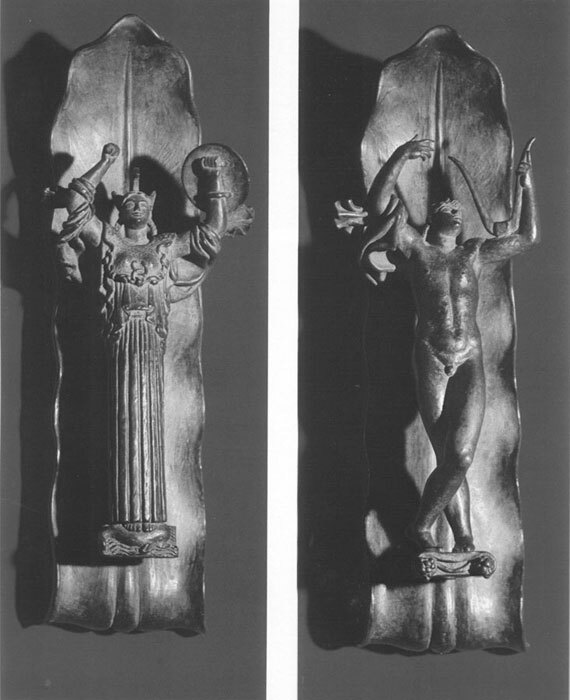 The nudes Pomona and Bagnante from 1981, calling up his refined style of the fifties, as well as the busts of James Joyce (1981) at the Public Garden and Monsignor Antonio Santin (1982) at the Episcopal Seminary in Trieste, ideally end the intensive activity of the artist, who passes away in Padua on 19 February, 1983.